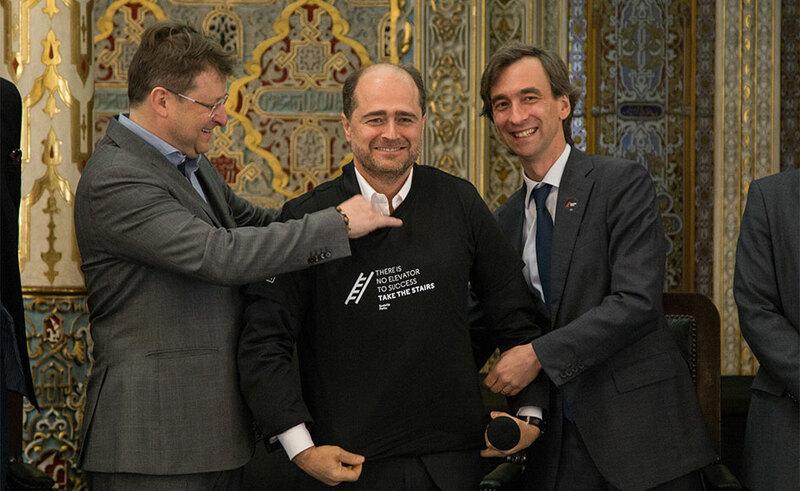 to promote global business growth! 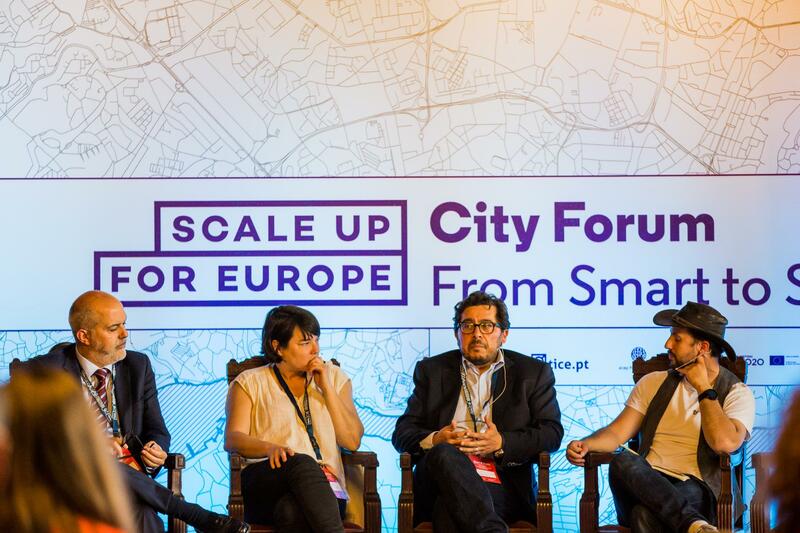 Beyond leveraging on IoT and data, cities should also be seen as an industry. 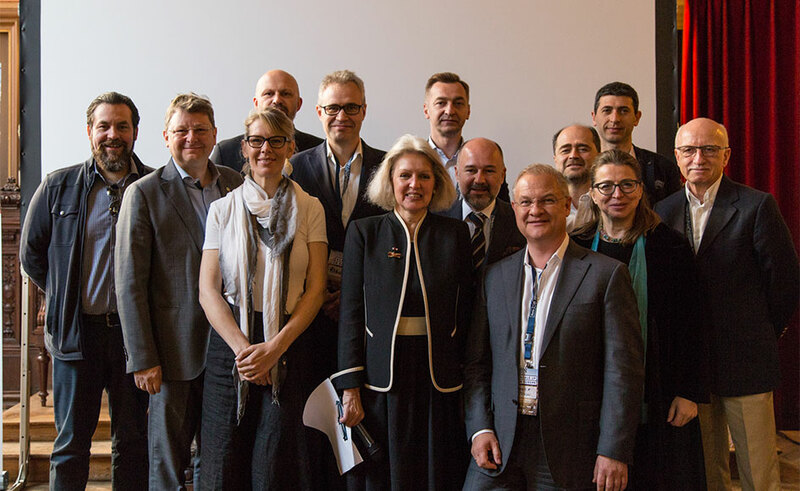 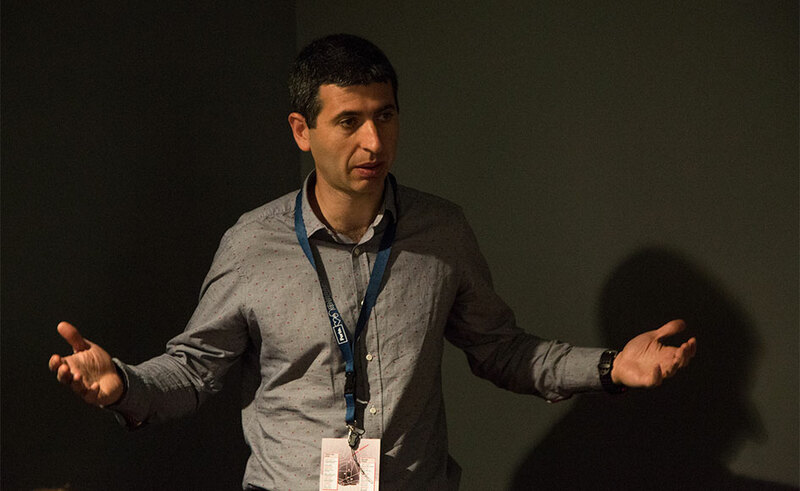 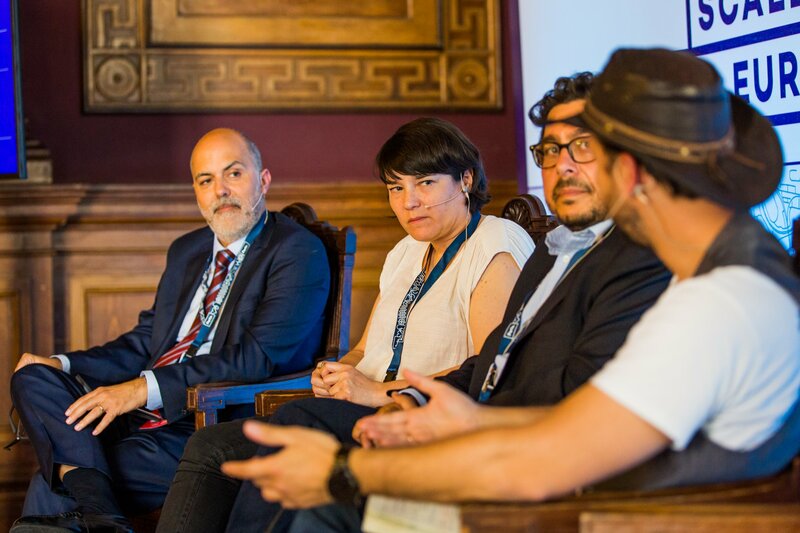 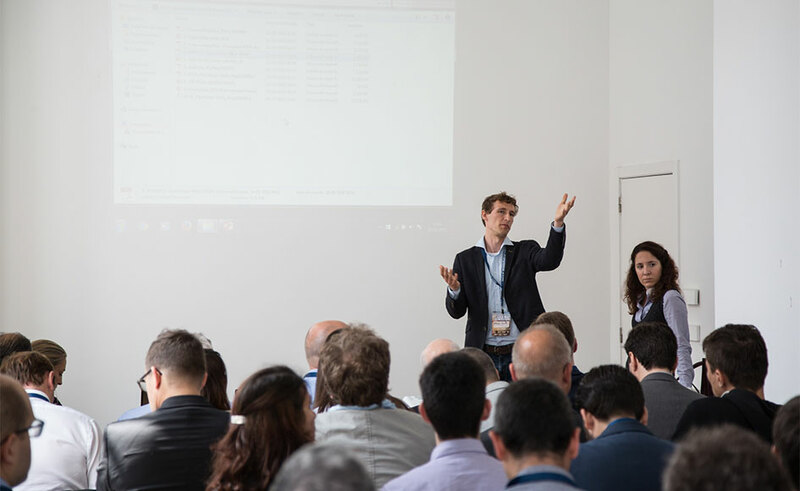 Coordinated with the FIWARE Global Summit, this track focused on the opportunities in increasing the collaboration between companies, cities and investors, boosting business connections for companies. 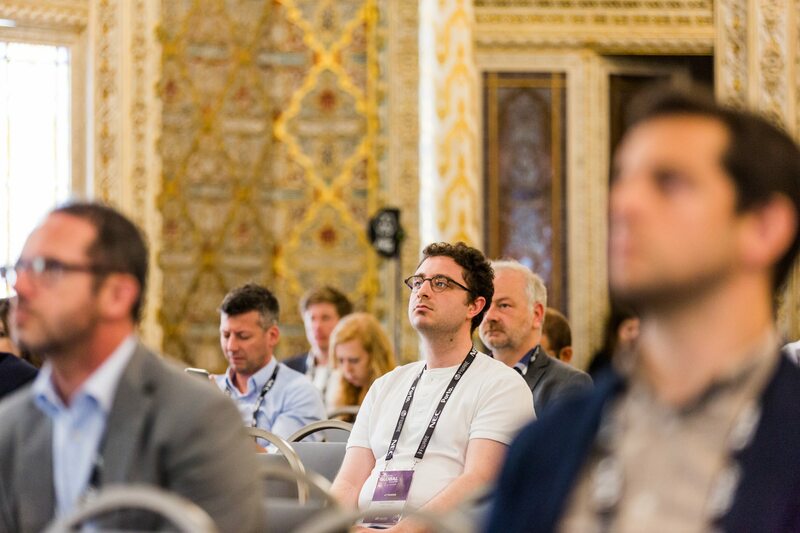 Challenges are big when it comes to creating a smart environments, where the real, digital and virtual worlds converge. 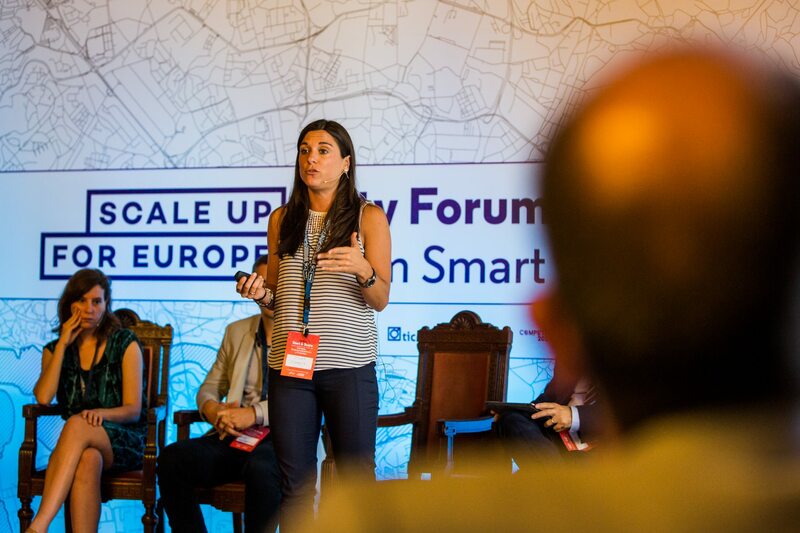 All cities are now eager to deploy new smart city services on a large scale and to engage on digital transformation strategies. 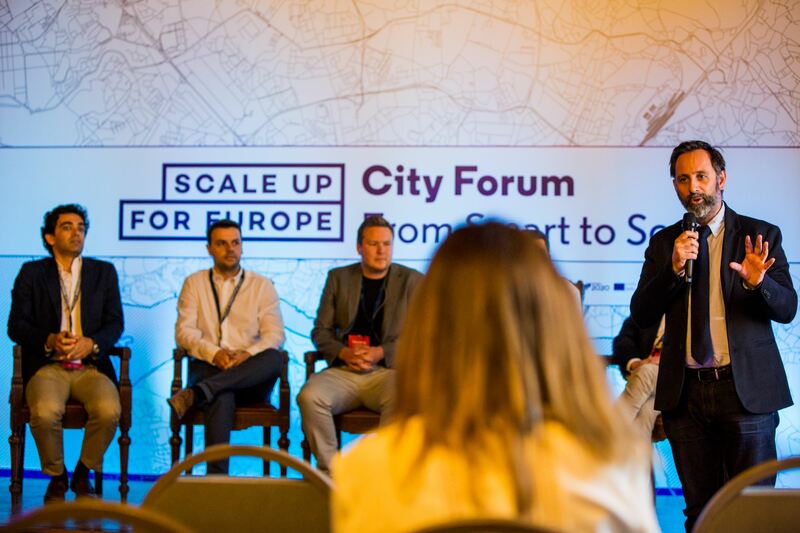 Let’s understand goals and strategies when it comes to digitalisation of cities. 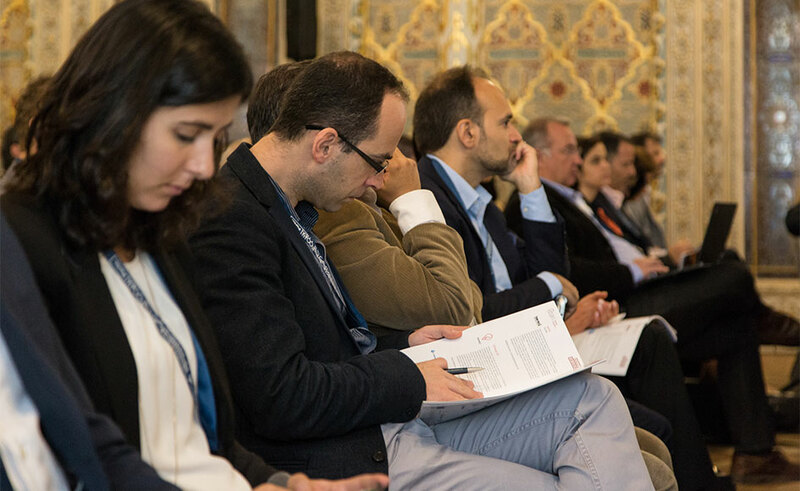 The challenges of the digital market can enable new and cross-cutting business models. 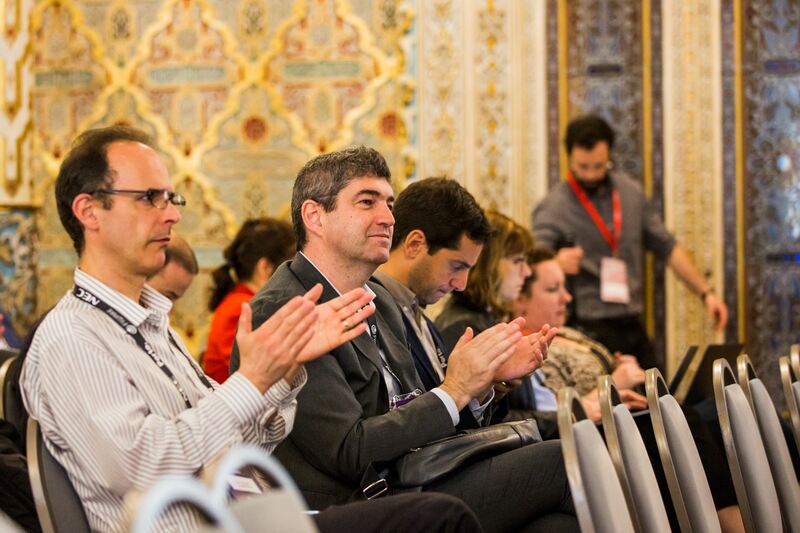 Companies can find the opportunity to open up new business channels and create new value-adding services. 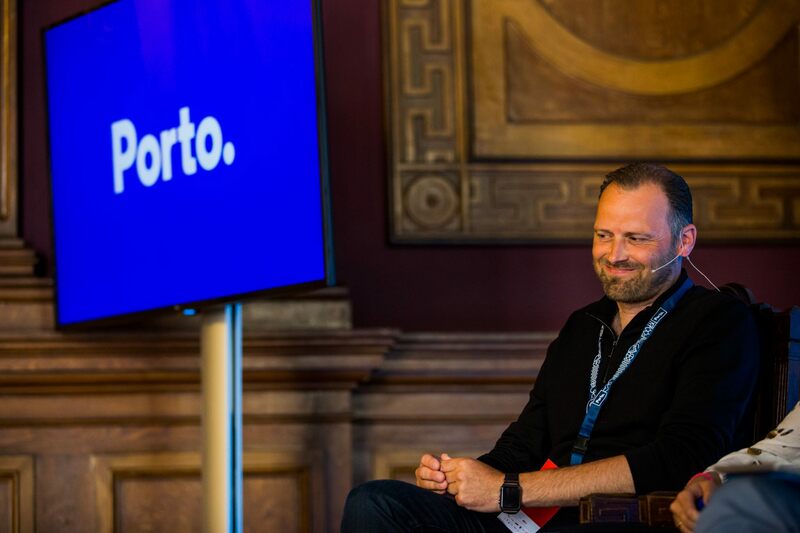 But this is true for cities as well. 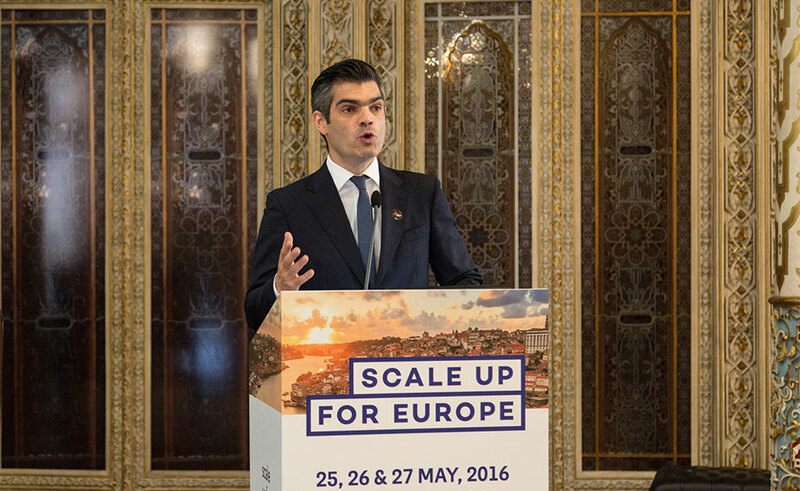 Digital Single Market bringing opportunities to startups and SMEs. 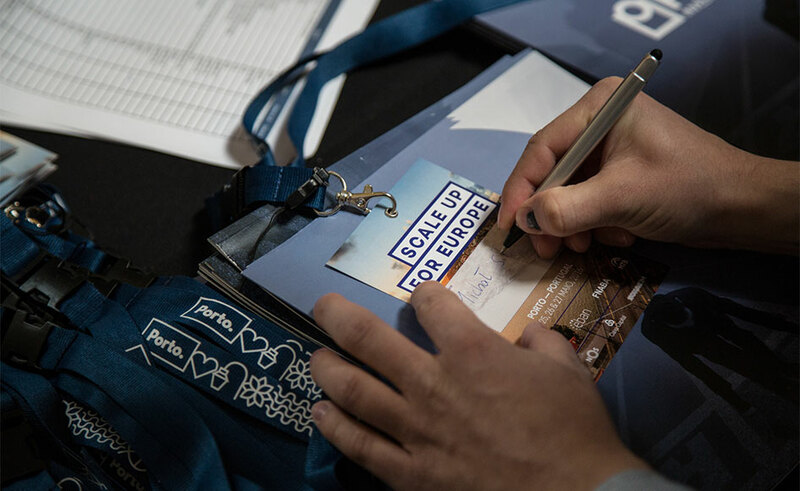 Public organisations have been working on a more strategic allocation of government funding and on barrier-removing initiatives such as pilots, alliances and educational programmes. 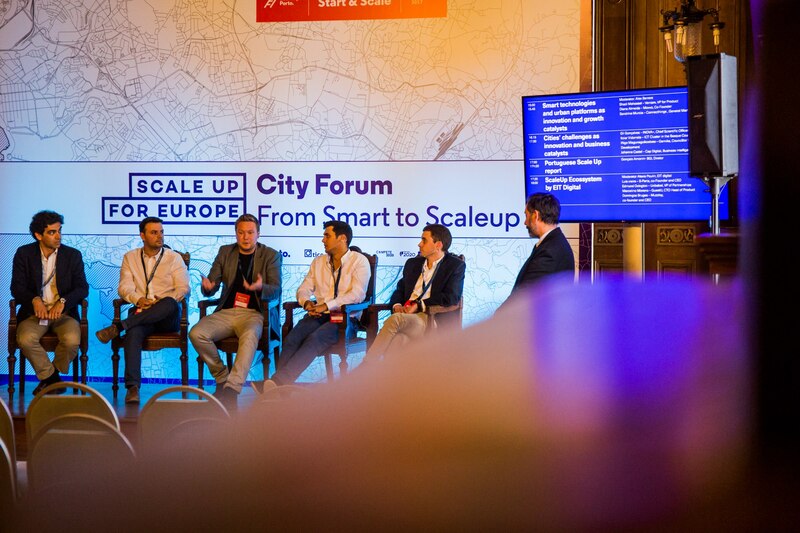 A topic to explore with investors, cities and companies. 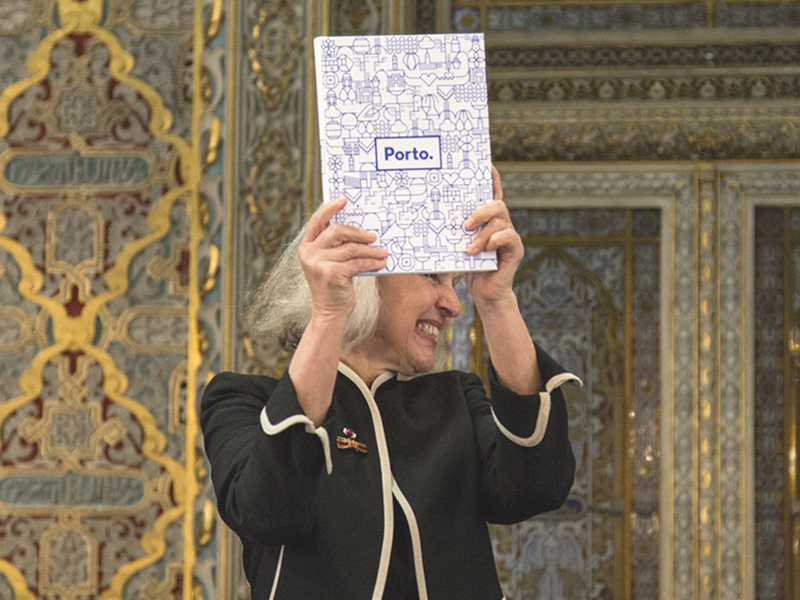 CITY FOR SCALE, OPPORTUNITY FOR INVESTORS? 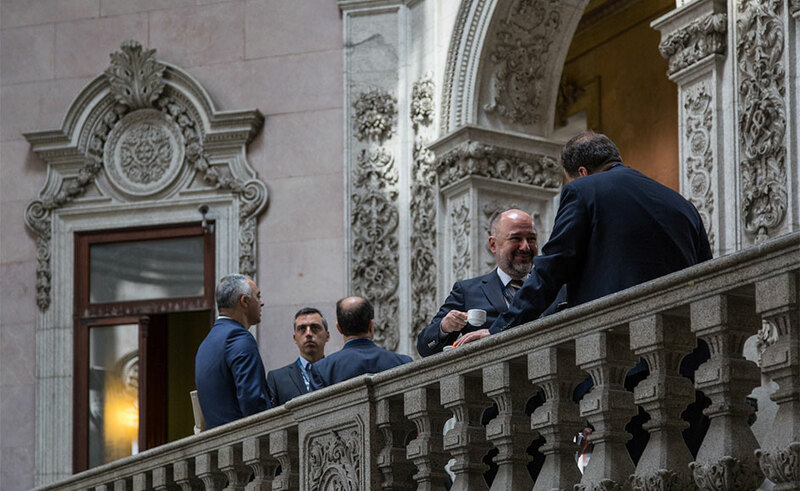 As the connection between cities and companies becomes closer, investors can find opportunities on leveraging this connection. 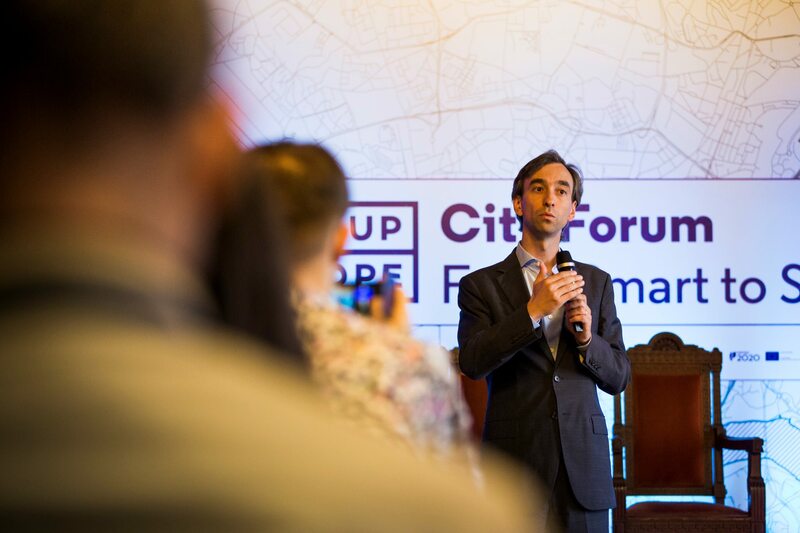 Strategic public–private partnerships can boost the creation of a sustainable entrepreneurial ecosystem, where cities can be growth catalysts. 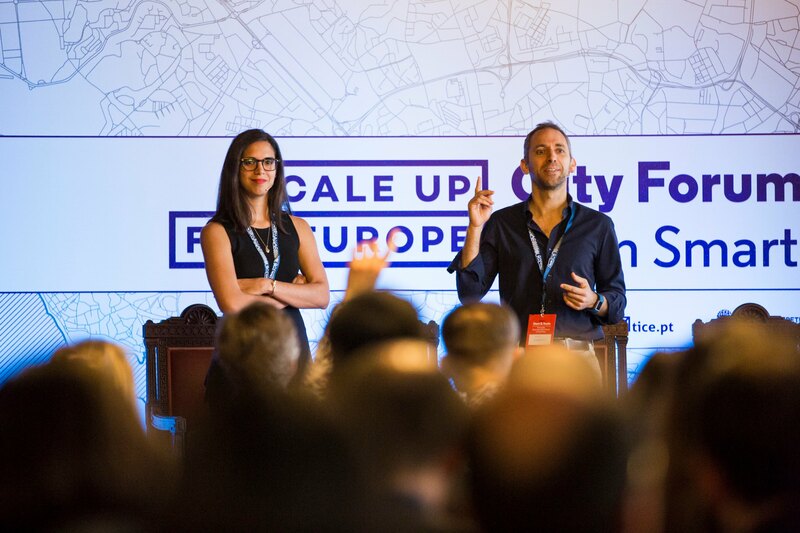 A new industry can be developed by leveraging the network to support scalable opportunities for businesses, cities and investors. 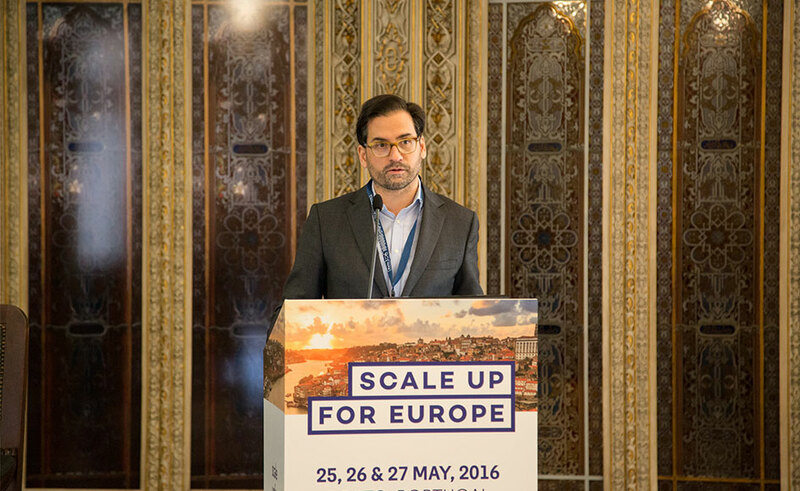 Start in Europe, Scale in Europe, Go Global! 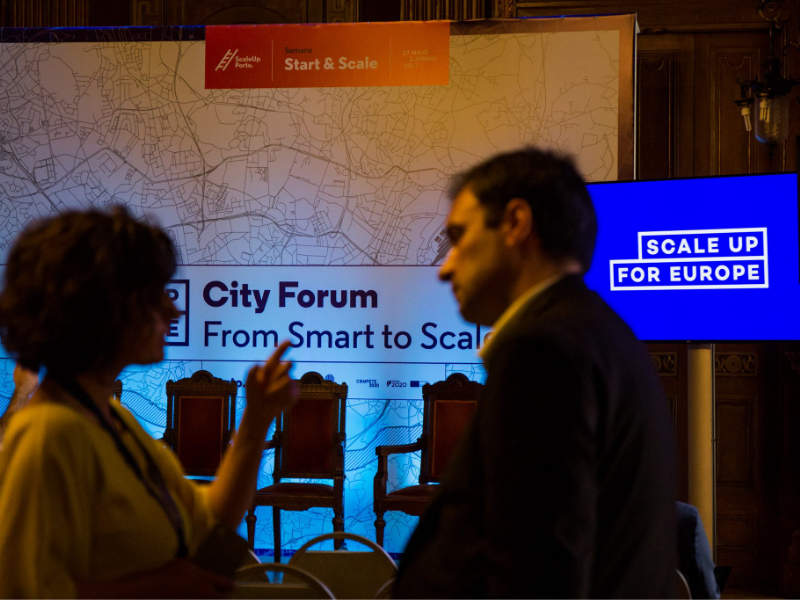 In a European single market, far from being a reality, cities working in networks will be unique growth catalysts. 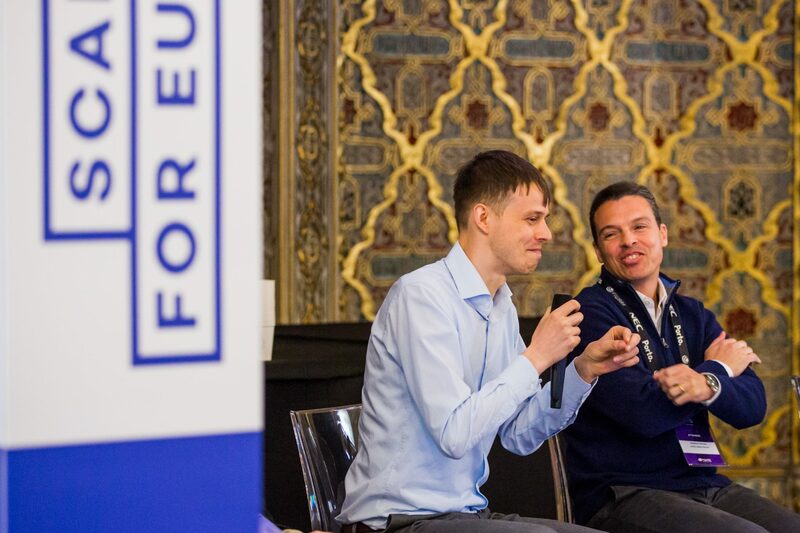 By creating and promoting the development of a national and international network of support for scale-up companies, entrepreneurs will have access to information about their and other environments, be assisted in building reputation and credibility, while increasing sales at home and abroad. 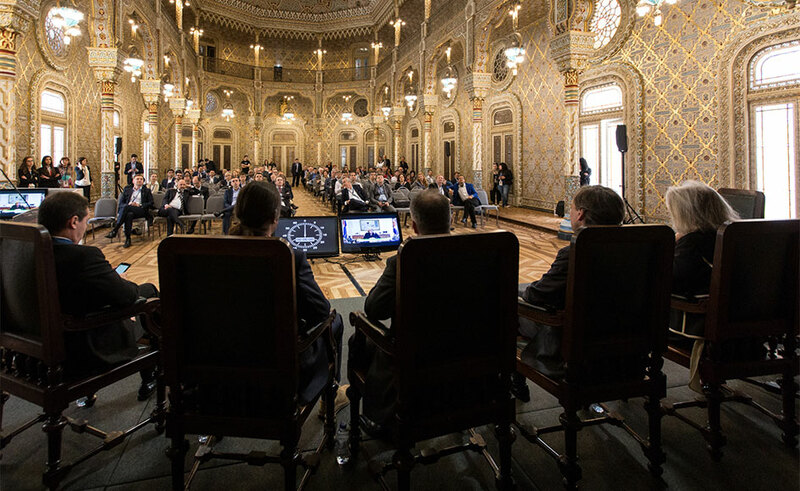 The morning of the EBAN’s Annual Congress included a panel dedicated to the Portuguese ecosystem, where some of the strategies developed in the country to help startups to grow and position themselves internationally were addressed. 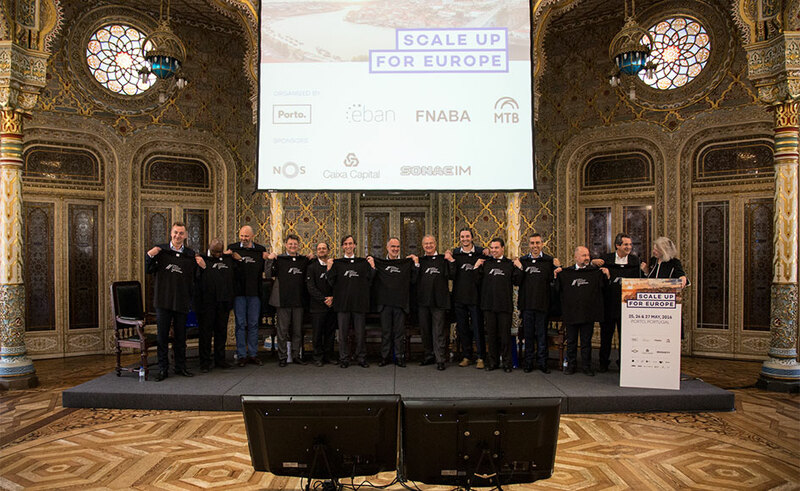 The last day of ScaleUp For Europe also included meetings between startups and large companies, promoted by Startup Europe Partnership (SEP), a pan-European platform led by Mind the Bridge. 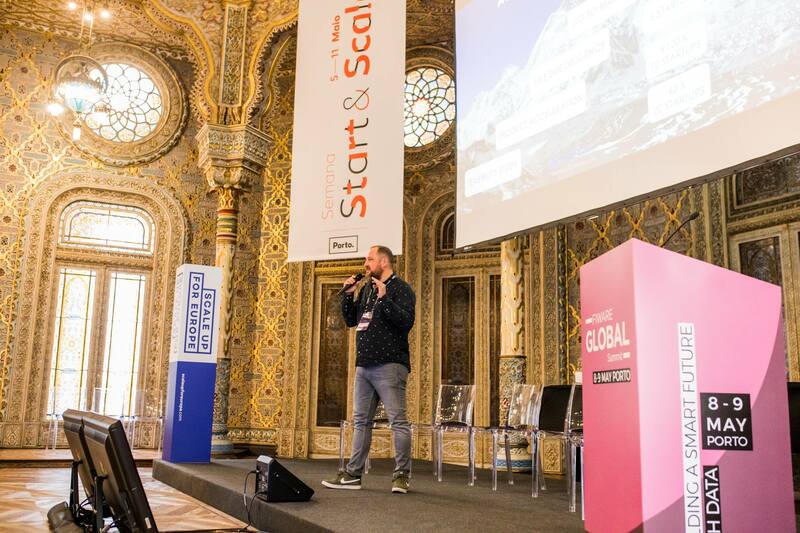 This connection leads to startup growth and promotes open innovation within the big companies. 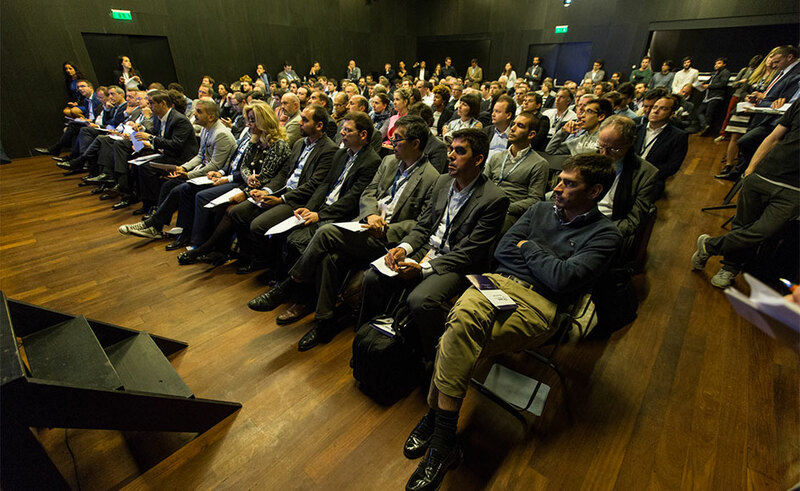 After the end of the conference we focused on Desafios Porto. 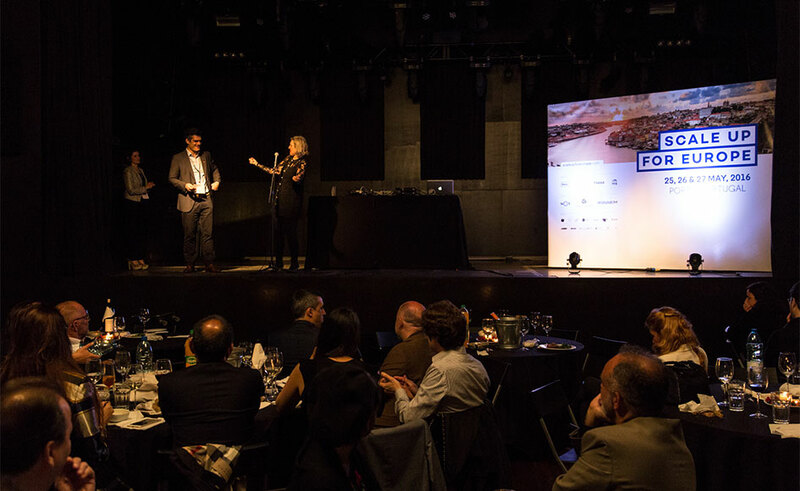 The competition encouraged by the city of Porto aspired to find technological solutions to real problems, transforming the city into a real “living lab”. 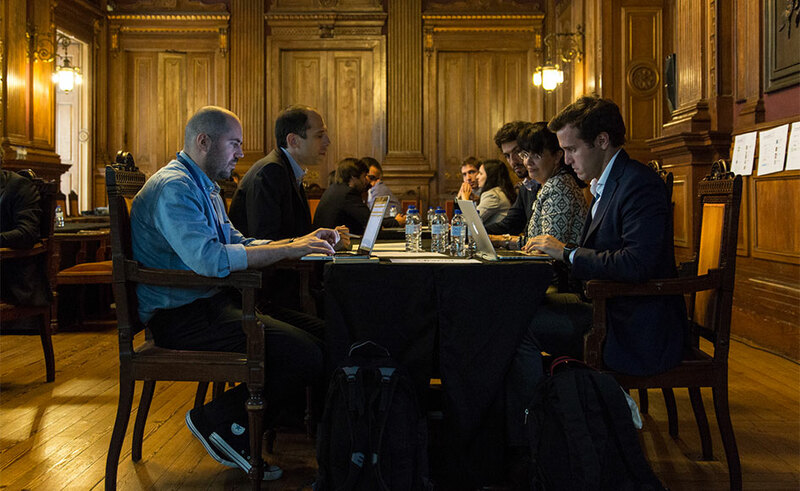 The day ended with the beginning of Hackacity, the 24-hour programming marathon where participants are invited to develop applications that will have impact on the city’s life. 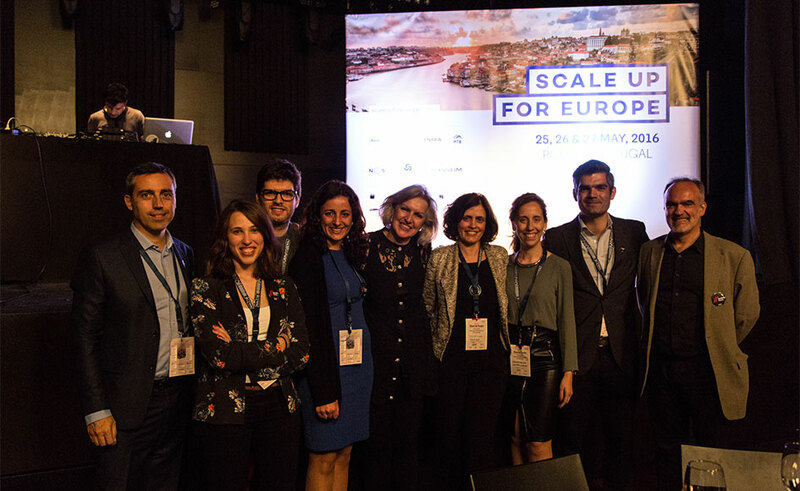 With ScaleUp For Europe, Desafios Porto and Hackacity, this day became a real Scaleup marathon, with activities that put in action several foundations of the Manifesto. 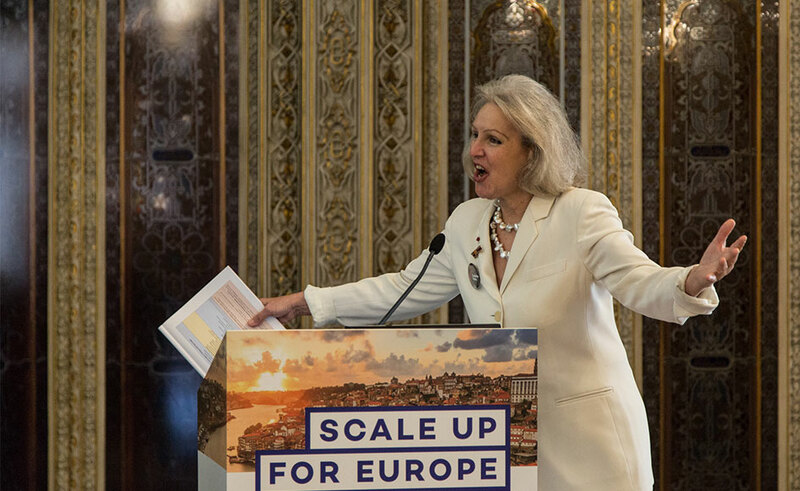 On the second day of the Scaleup for Europe Congress, matters such as Equity Crowdfunding and Investment Opportunities in Africa and the Middle East will be discussed. 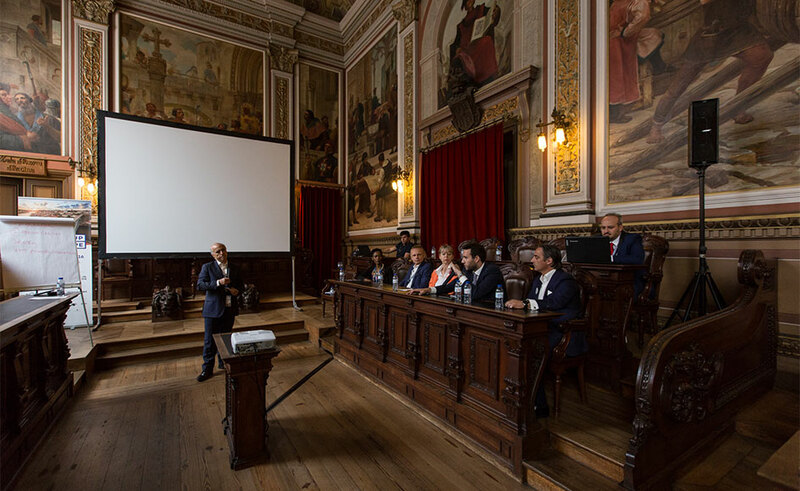 Presentation and clarification session about the winning solutions of the “Desafios Porto” contest. 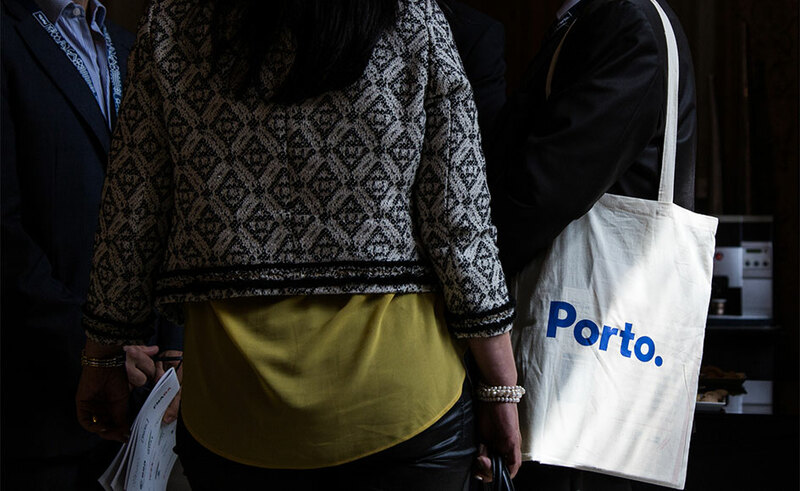 Street Entertainment – Are you bold enough to create and maintain contact? 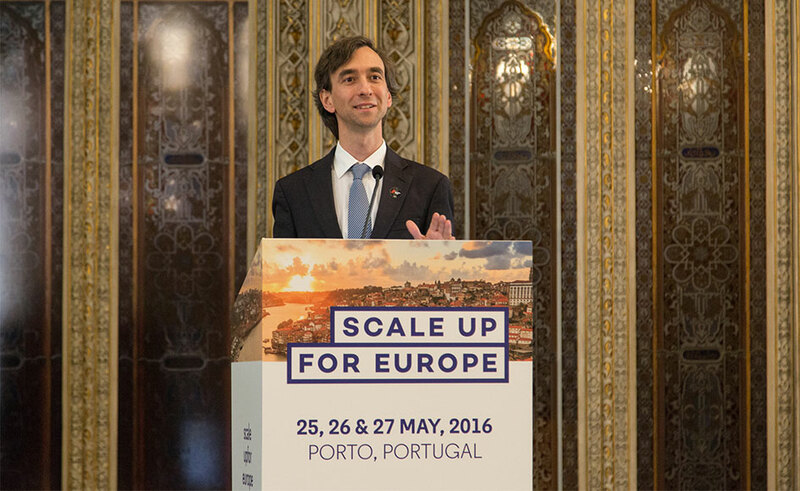 How can cities help on the sustainable growth of companies? 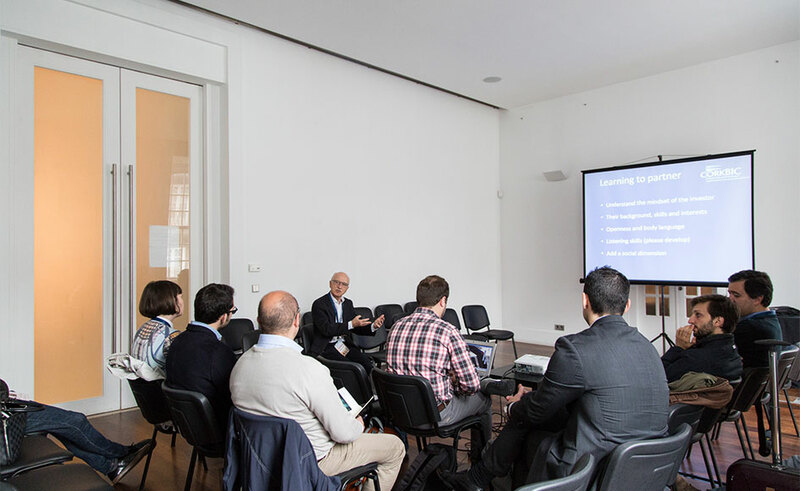 Working session with the European network’s cities. 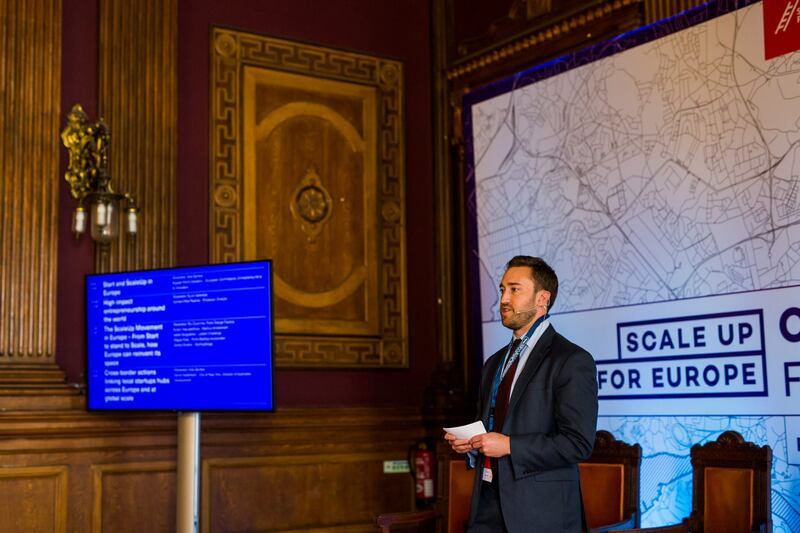 The city as a living lab! 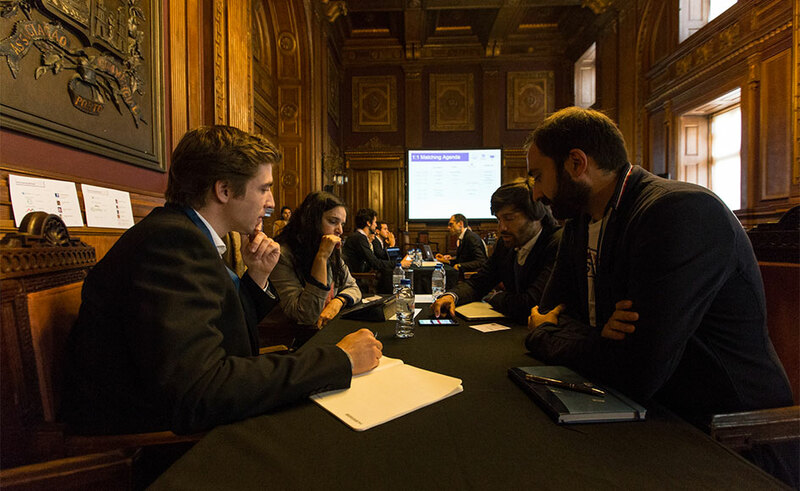 An Hackathon based on the use of big data for the development of solutions to improve cities’ quality of life. 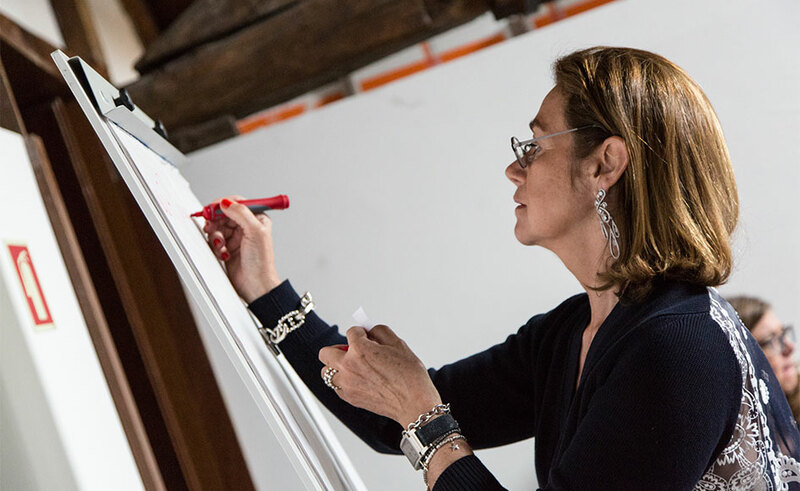 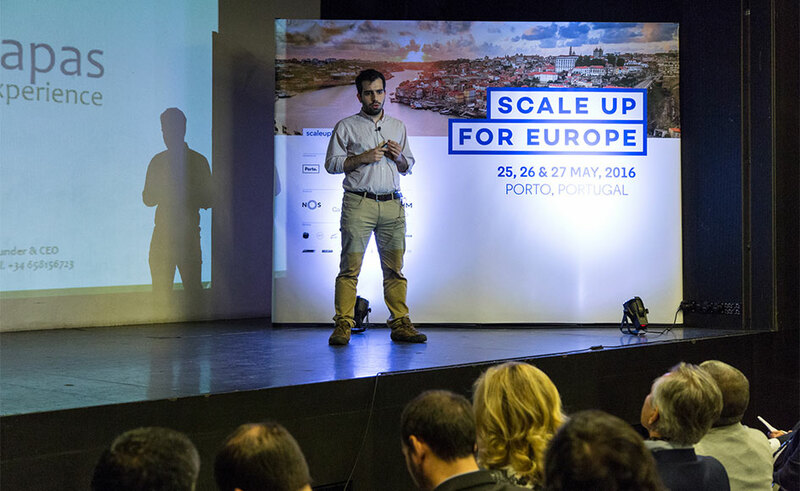 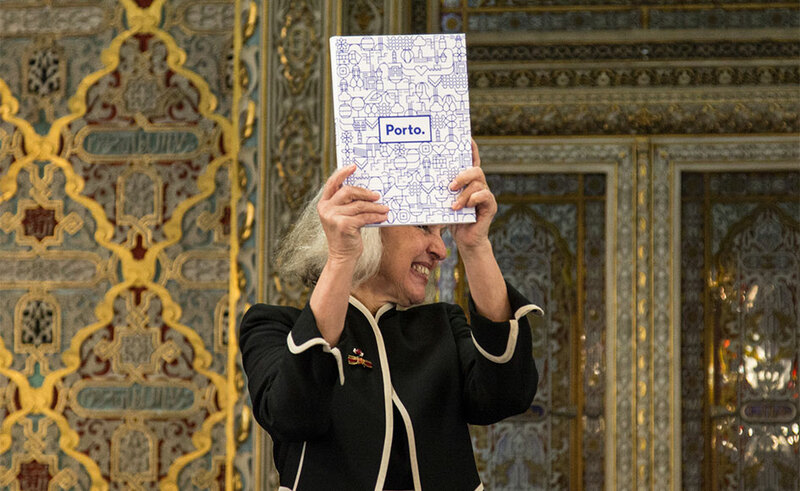 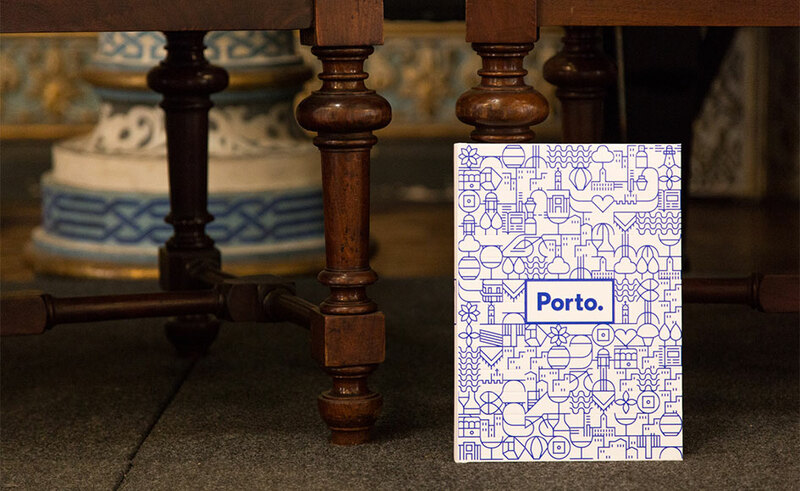 Entrepreneurship took Porto by storm on the first day of Scaleup For Europe. 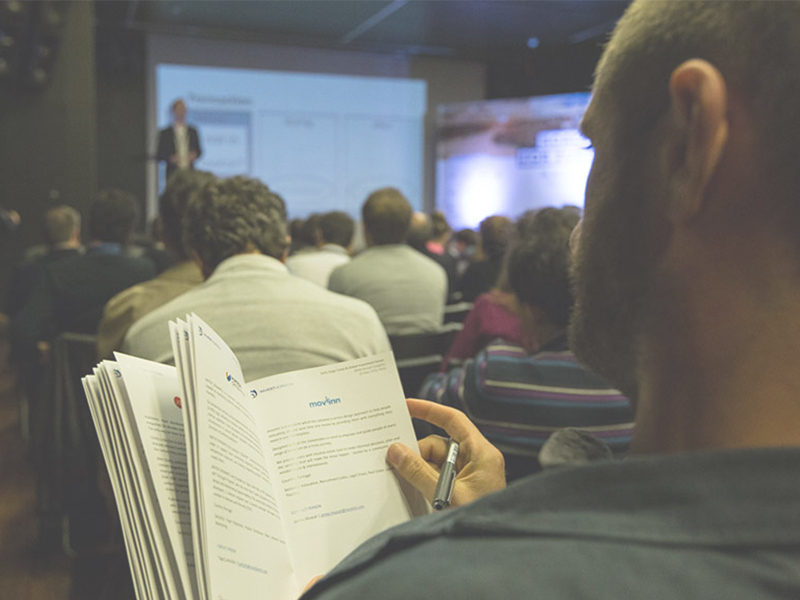 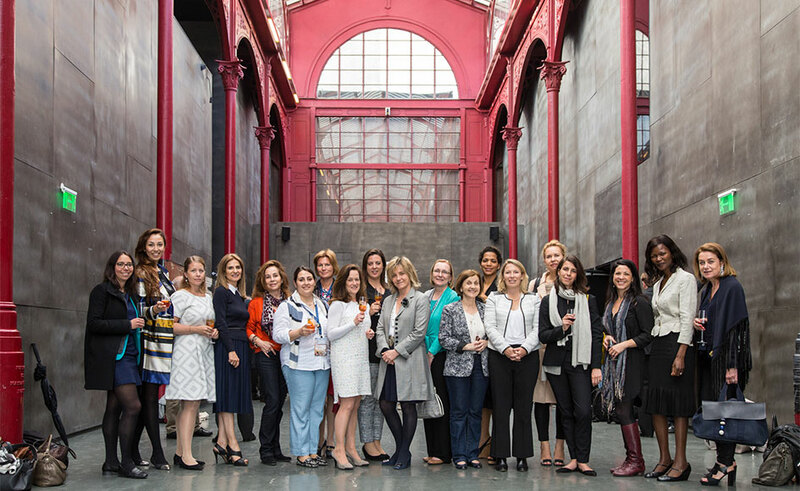 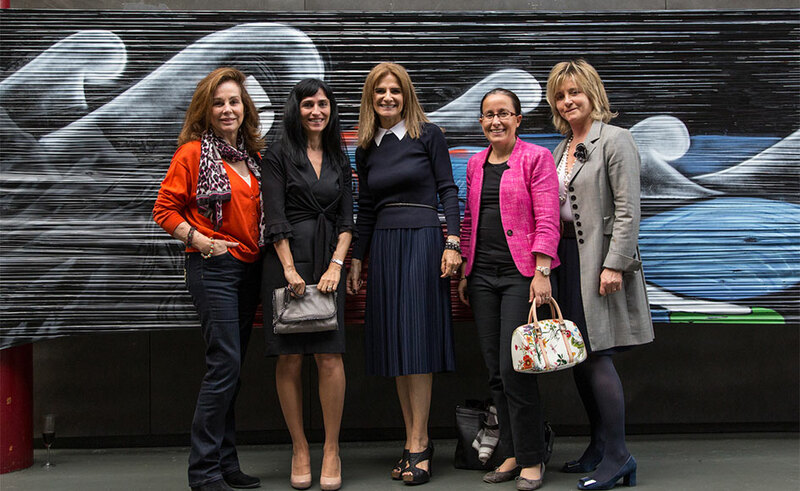 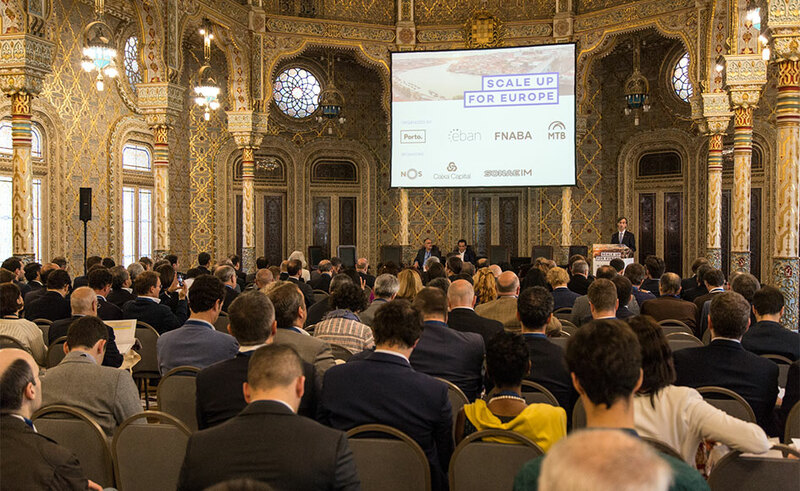 The annual conference of the EBAN network, part of the Start & Scale week, took place for the first time in Portugal, reflecting the recognition of the international community in the Portuguese entrepreneurial potential. 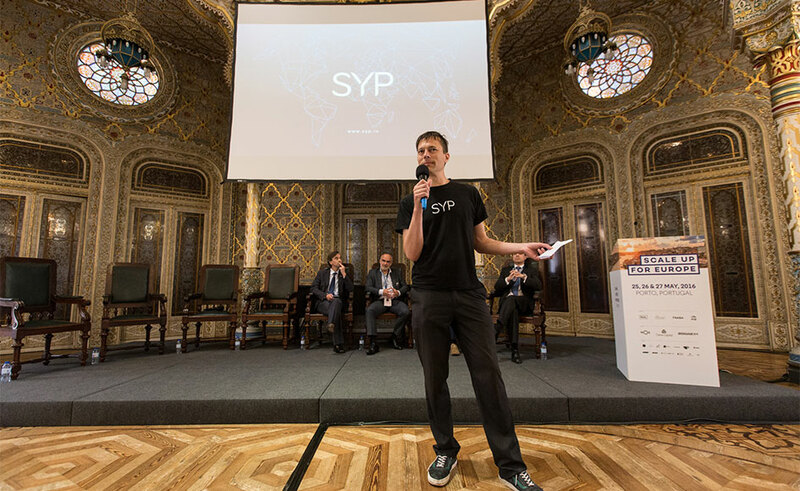 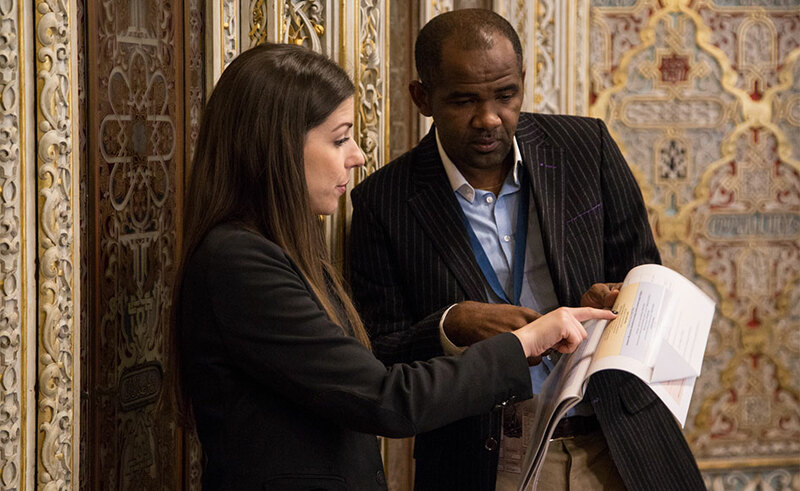 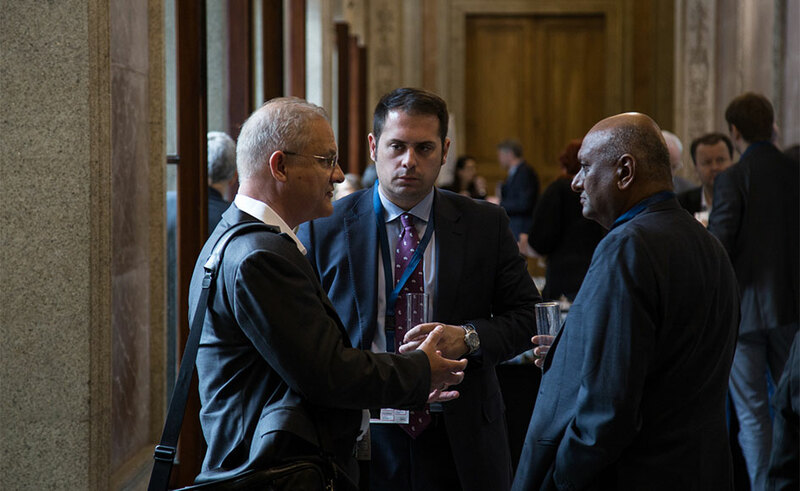 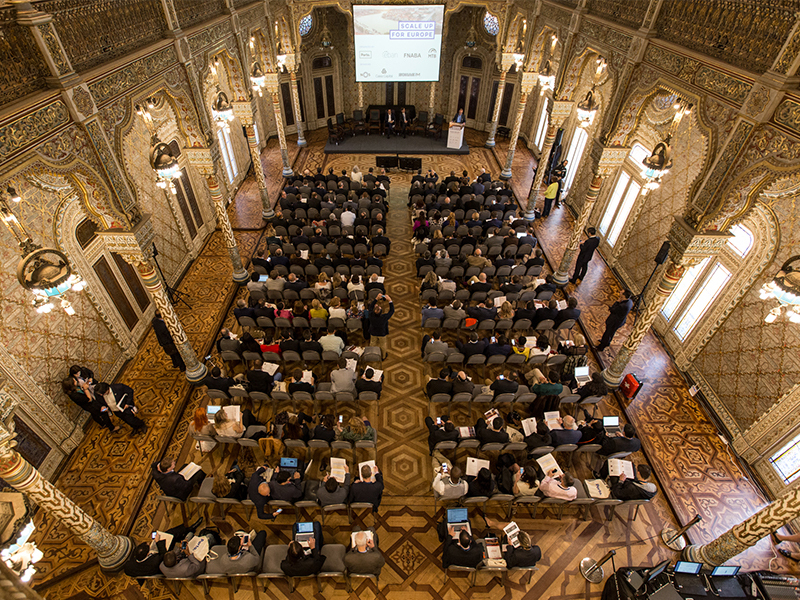 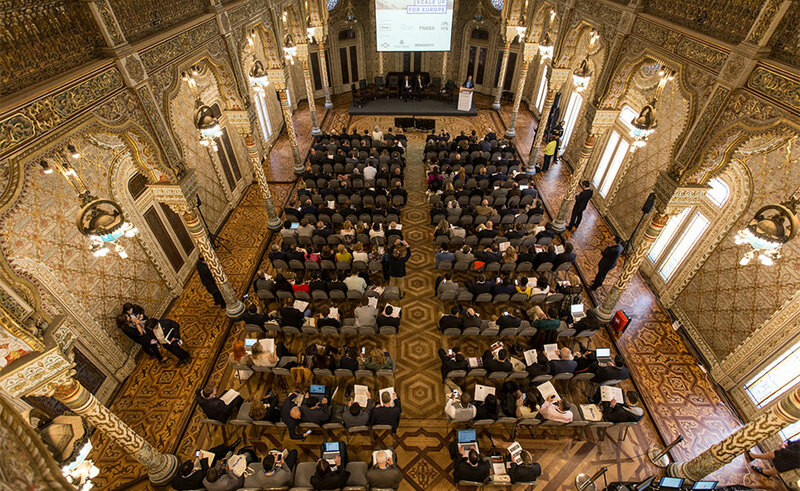 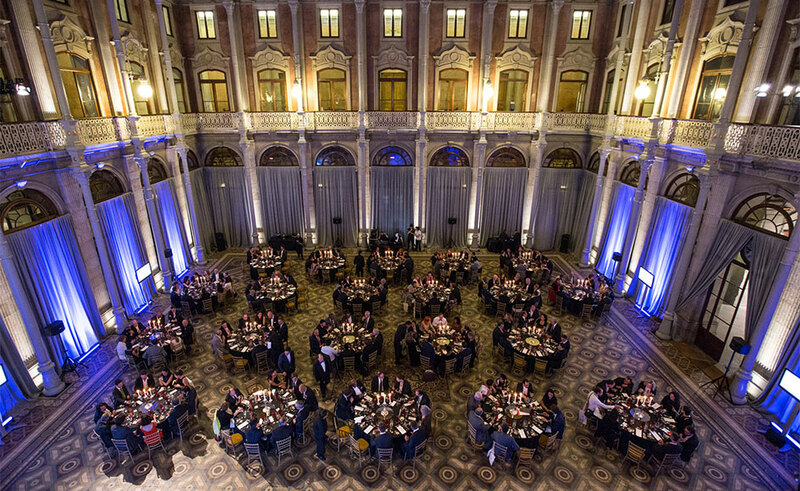 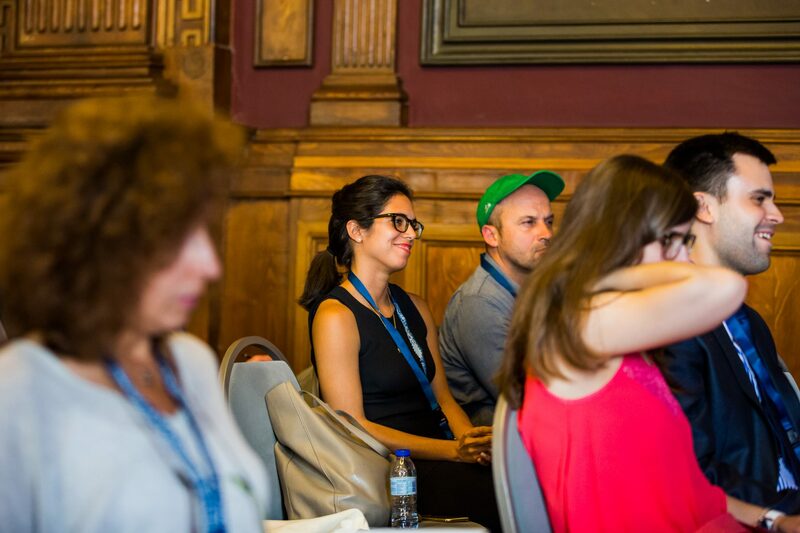 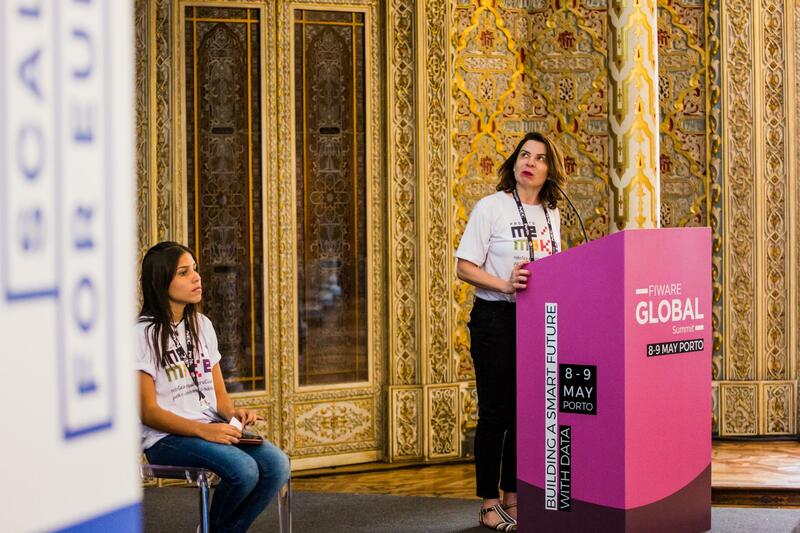 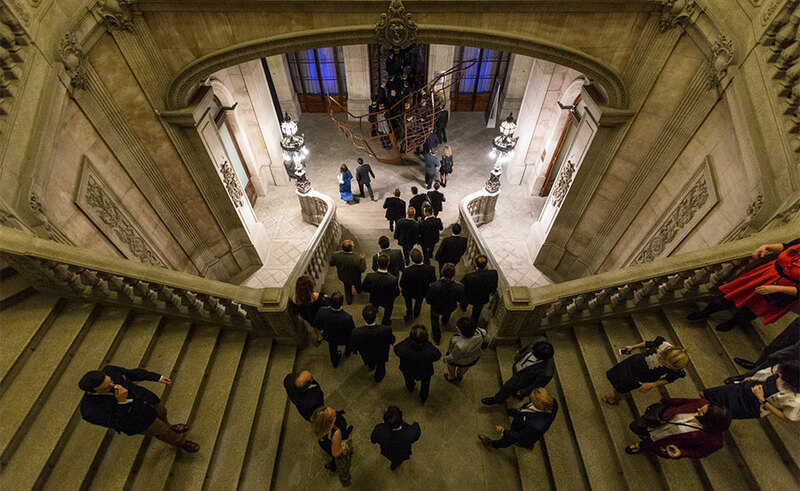 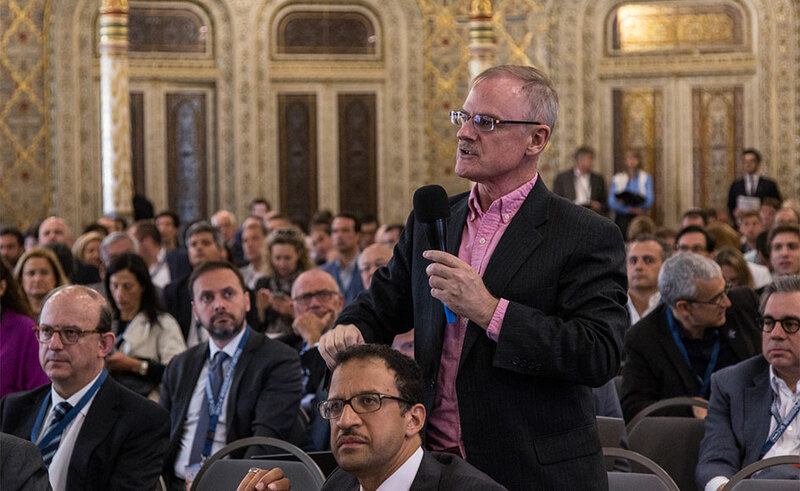 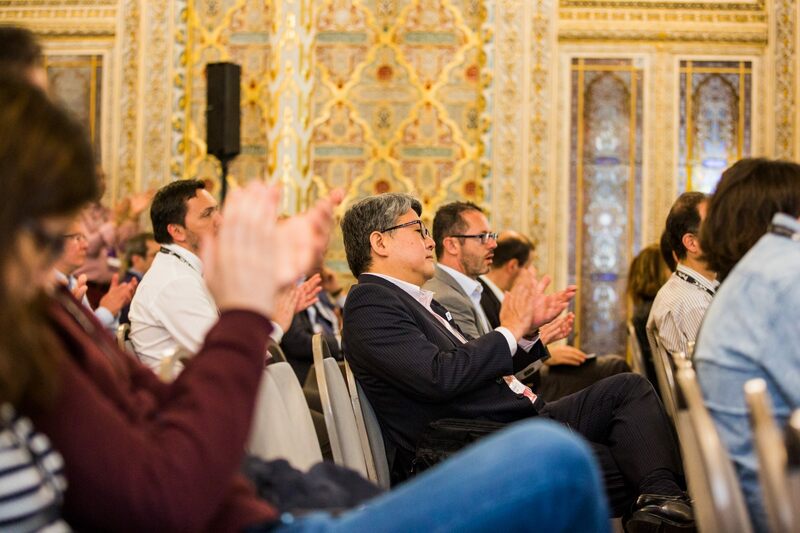 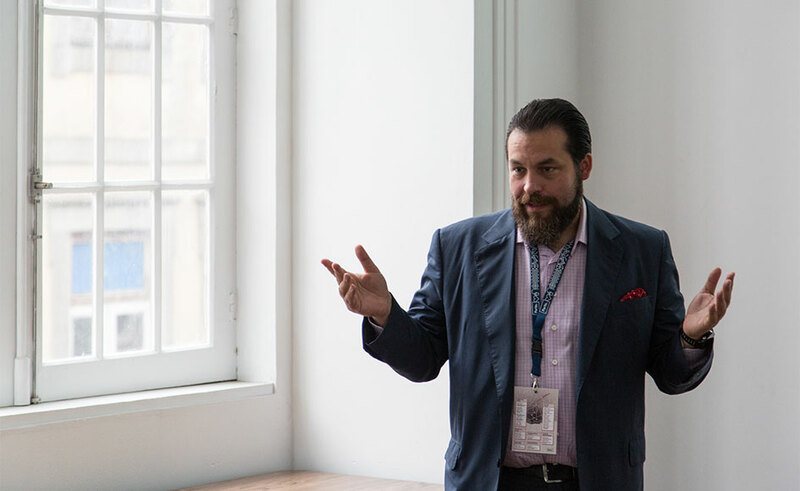 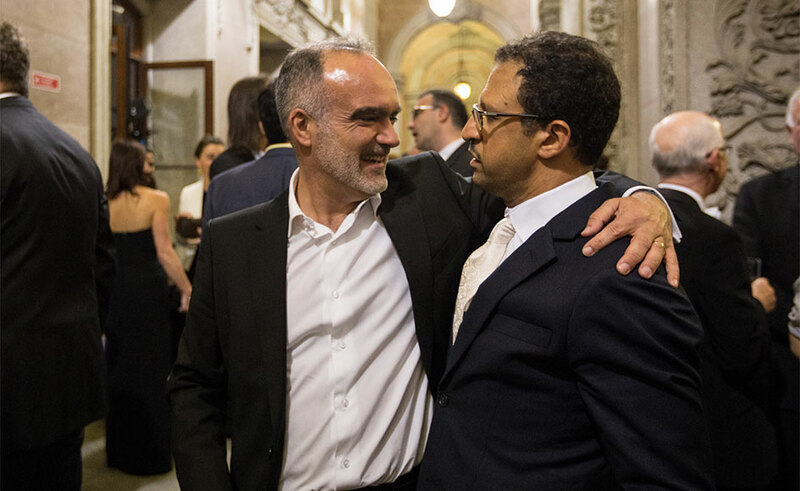 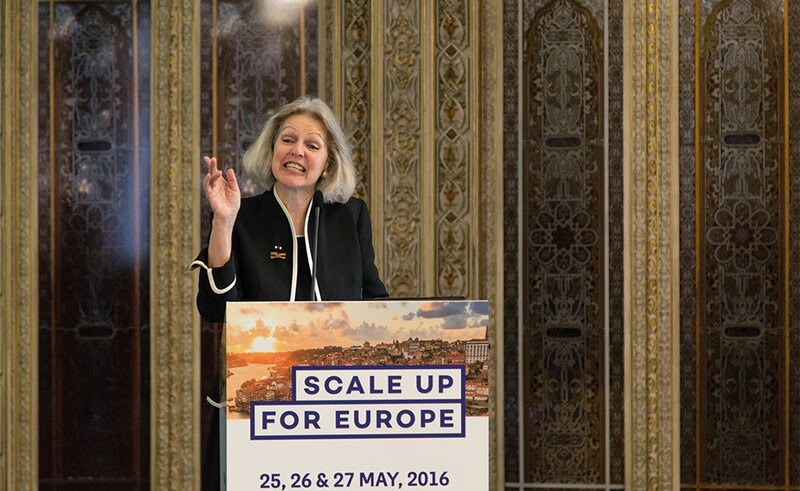 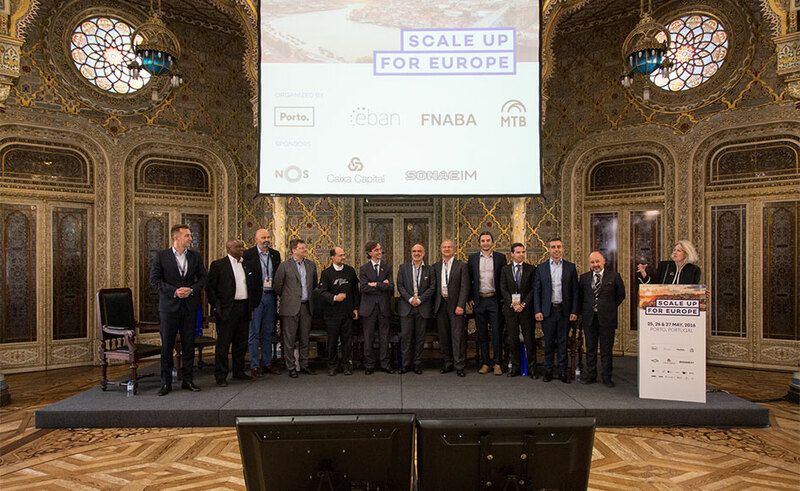 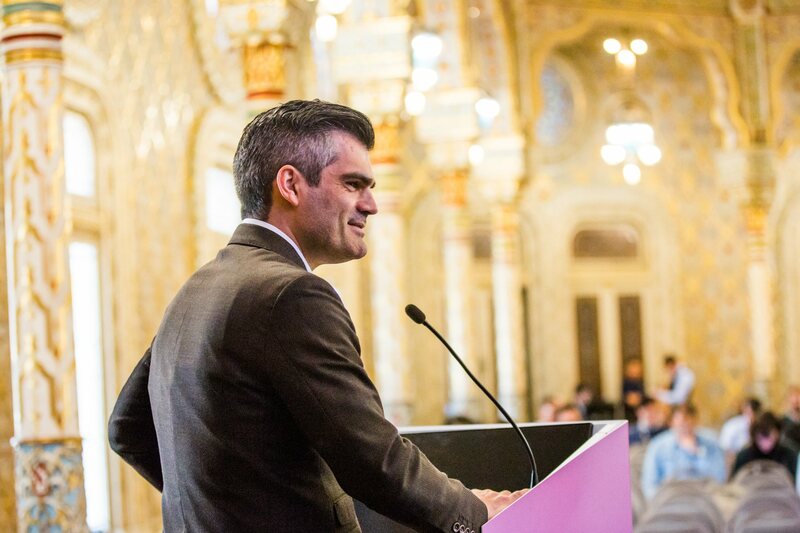 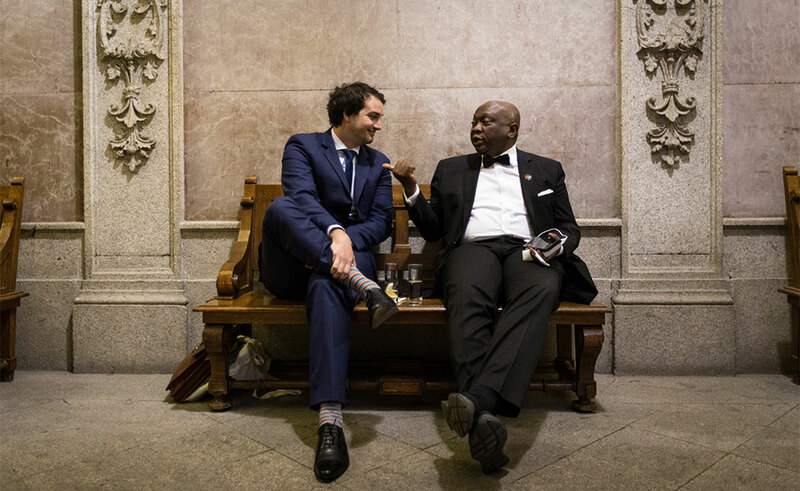 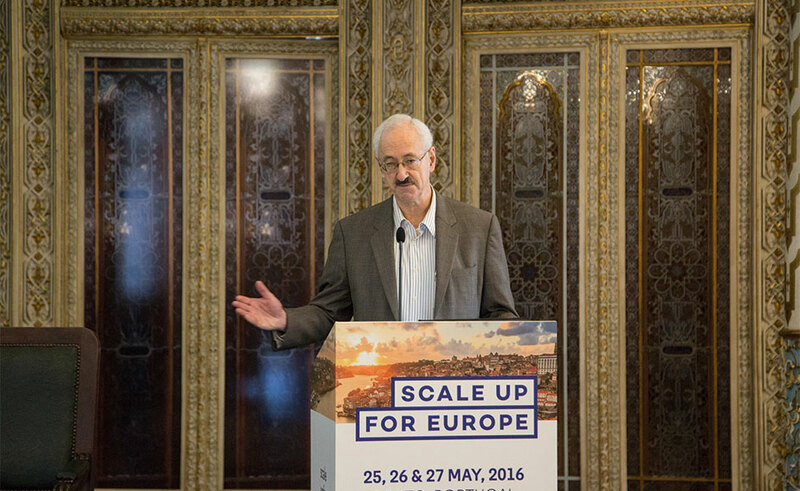 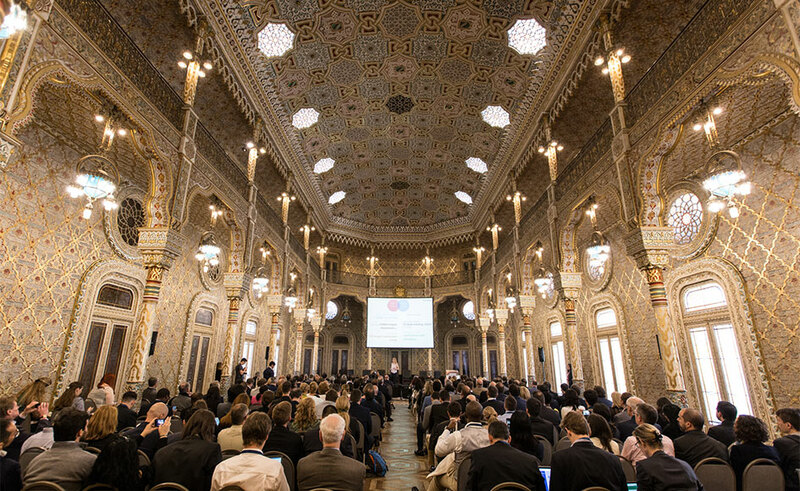 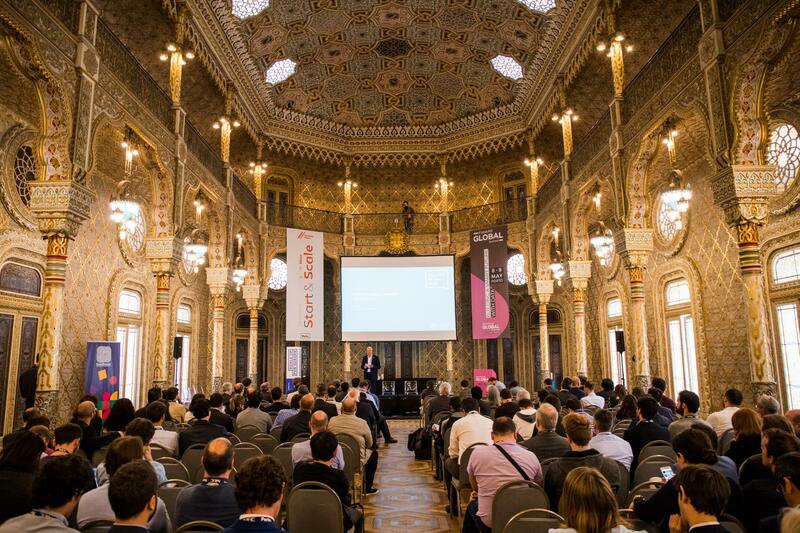 The iconic Palácio da Bolsa was the stage for Scaleup for Europe, which in the early morning, brought together more than three hundred investors and entrepreneurs coming from all over the world. 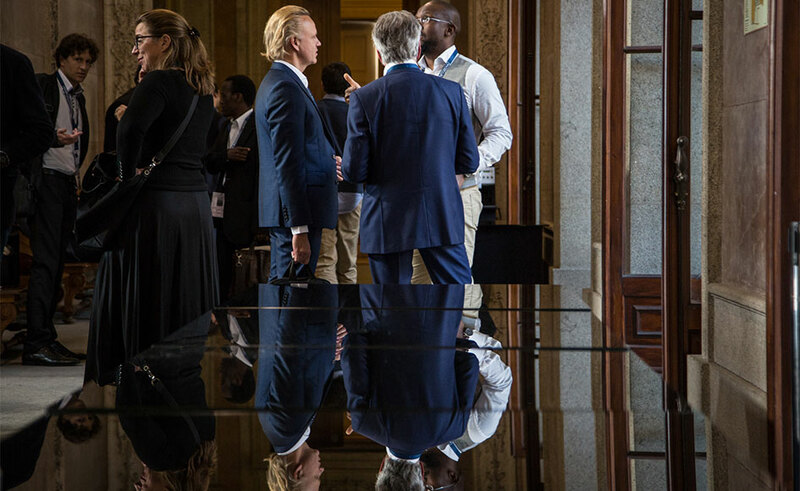 The usually called “smart money”, where investment does not translate only as money, but also in business knowledge, creation of network and access to skills and to the market, was one of the most discussed topics on this first day of the congress. 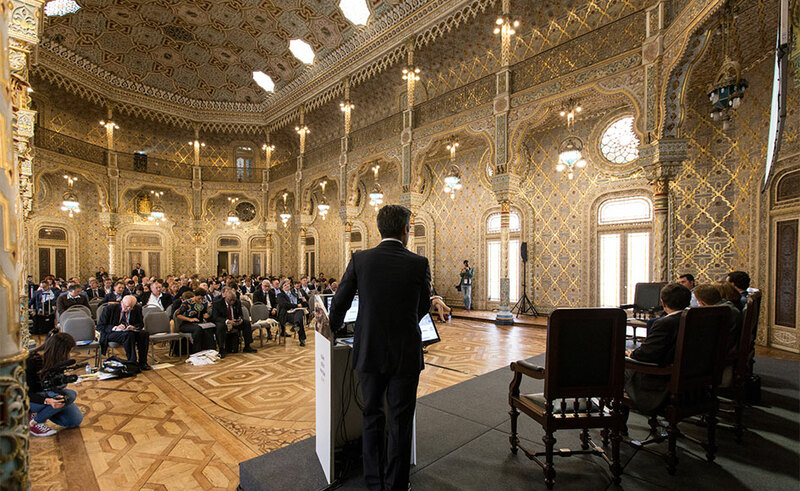 But it was not only inside the Palace that we could see entrepreneurship and innovation. 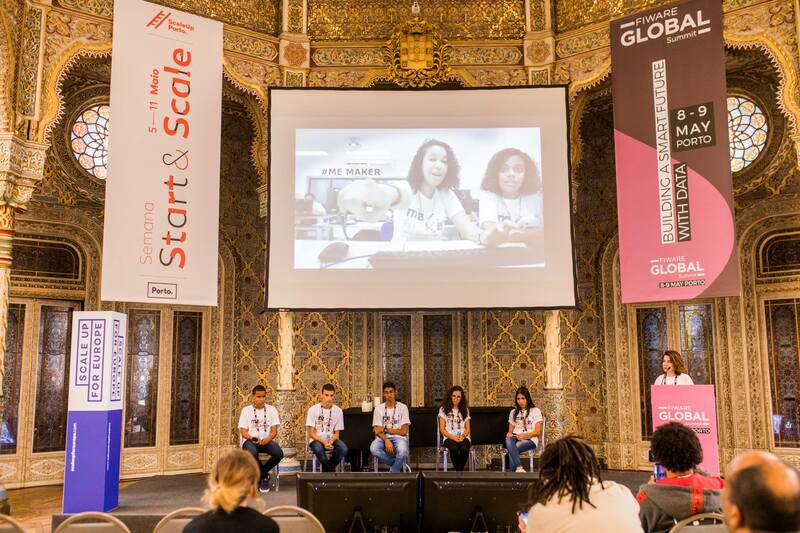 At Rua das Flores, there were many who wanted to venture into the challenges of growth, playing games on the scaleup subject. 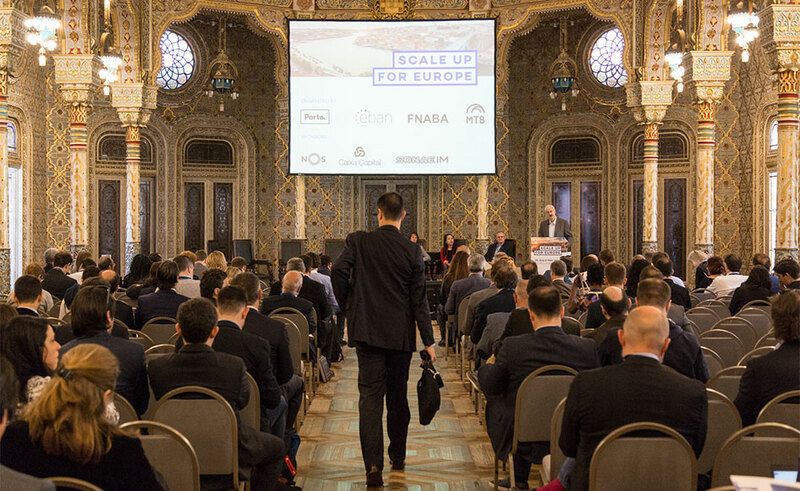 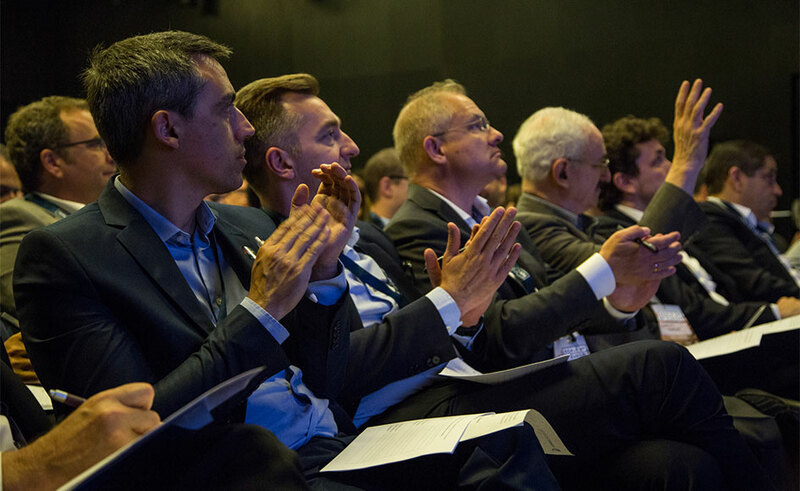 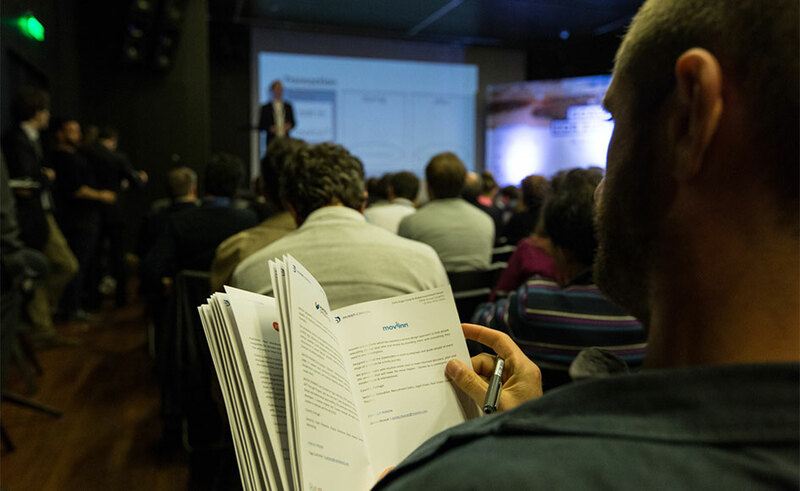 The European Business Angels Network (EBAN) gathers, for the first time in the city of Porto, more than 250 international investors to discuss sustainable growth strategies for StartUps and ScaleUps. 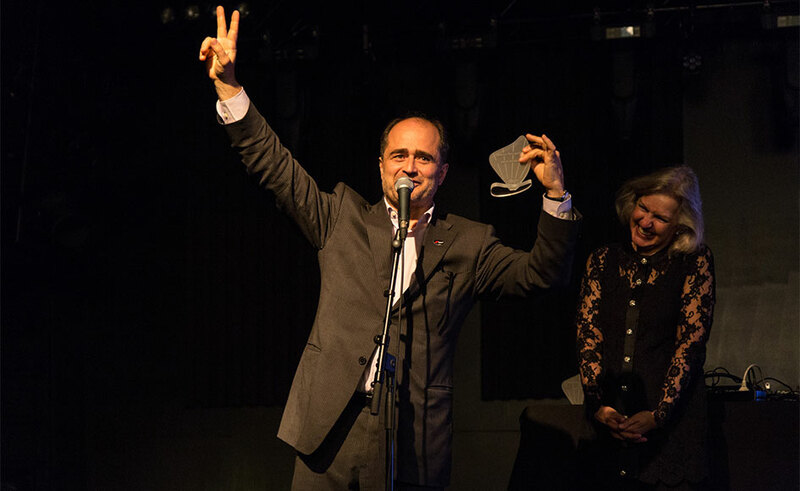 Street Entertainment – Do you have a good strategy? 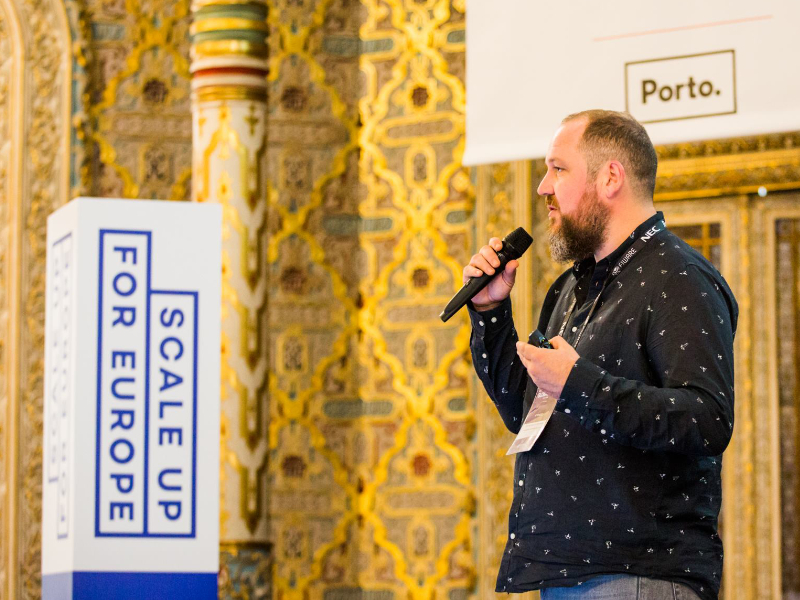 In another sunny day in the city of Porto, the morning started with Scaleup for Europe – DEMO DAY, a morning of training for national and international startups and business angels. 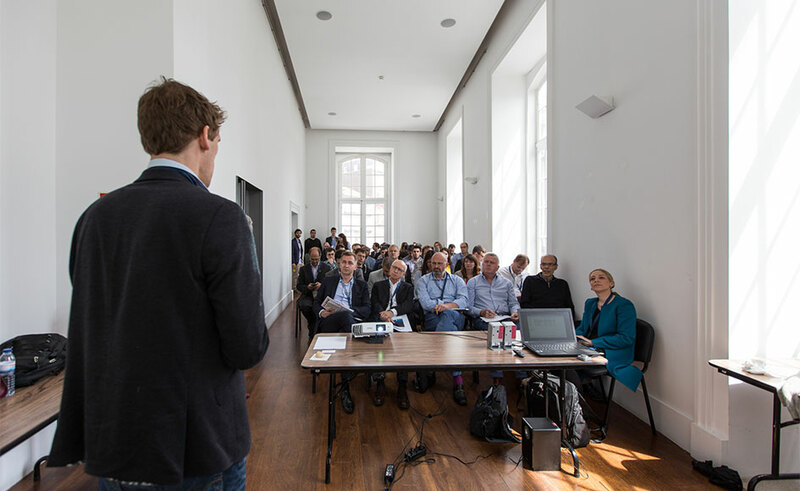 A busy morning with several activities dedicated to startups and investors. 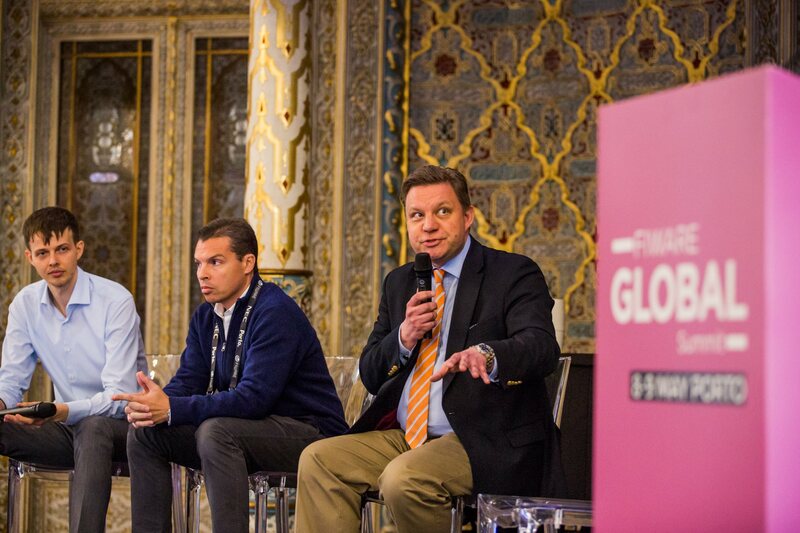 The afternoon started with the Global Investment Forum, a challenging moment where entrepreneurs had the opportunity to present their startups to a panel of investors for 3 minutes. 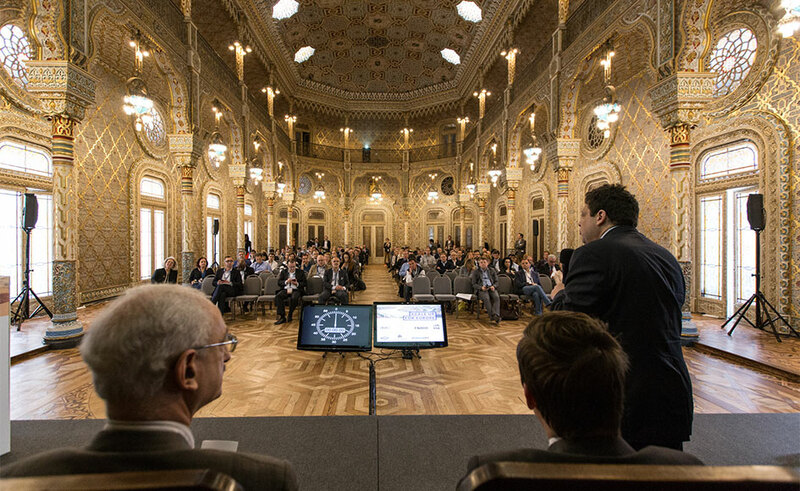 In an afternoon filled with dozens of startups ready to present to the national and international investor community, the best part was the last with the announcement of winners. 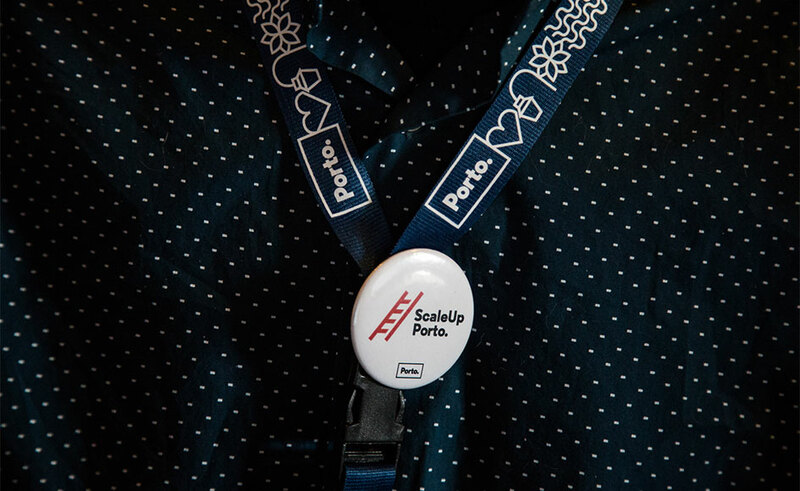 As expected, throughout the day, the streets were part of the party and the installations led the way to the motto “KEEP GOING!” with many challenges that made the players understand the difficulties of a startup in its evolution and growth for scaleup. 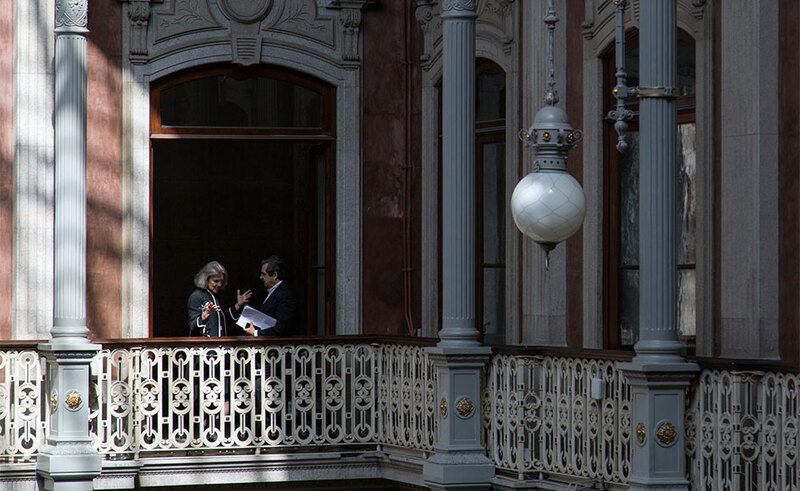 The day ended with a Happy Hour in the heart of Porto. 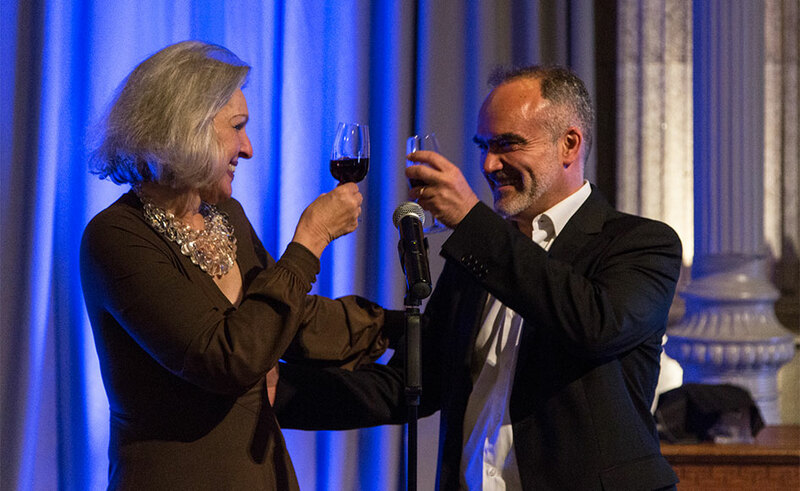 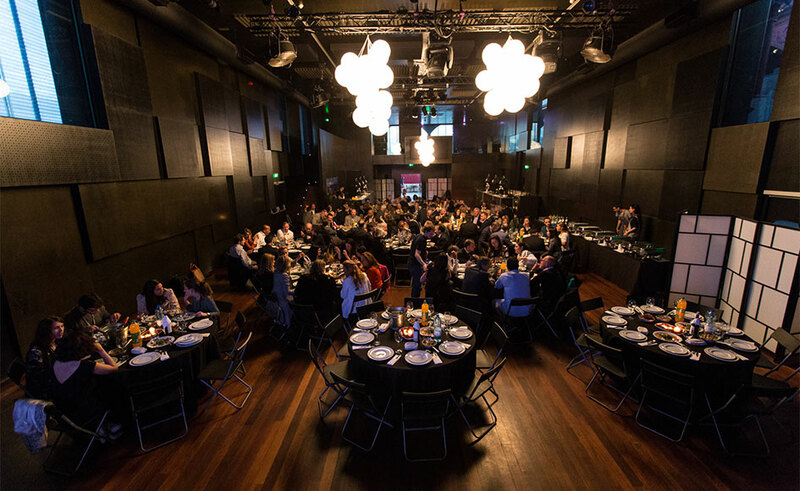 The creation of a network and celebration can happen at the same time! 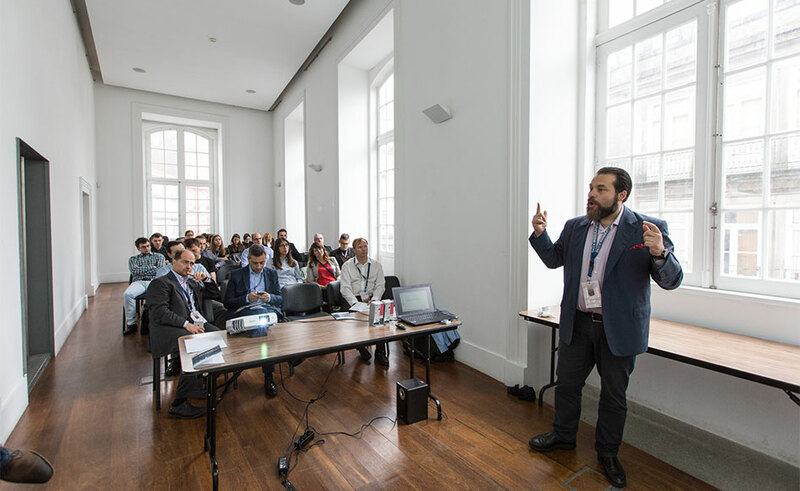 National and international startups and business angels training session. 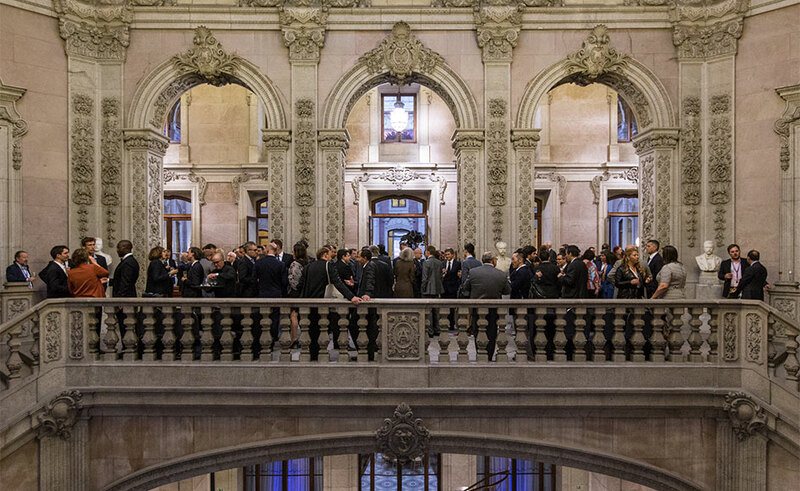 A global vision of the investment made by business angels. 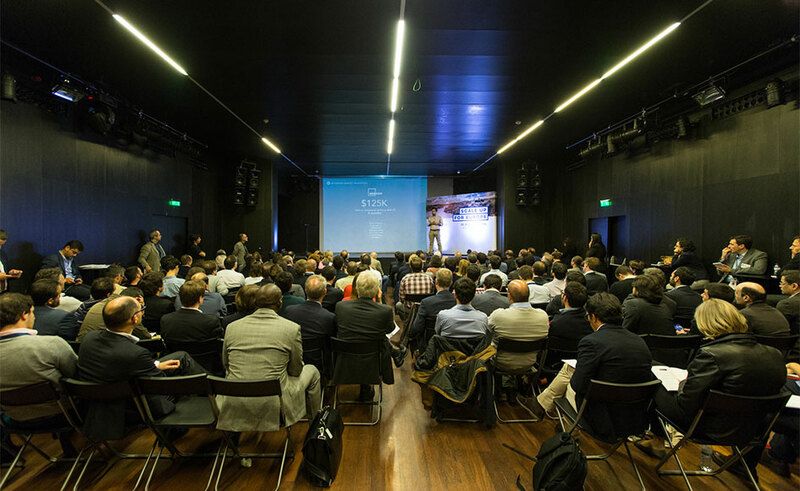 Entrepreneurs have the opportunity to present their startup to a pannel of investors on a 3 minute pitch. 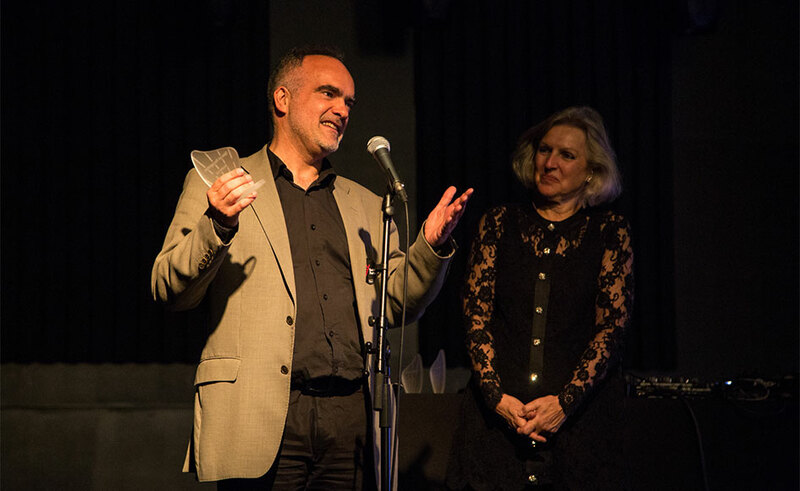 An award giving ceremony follows. 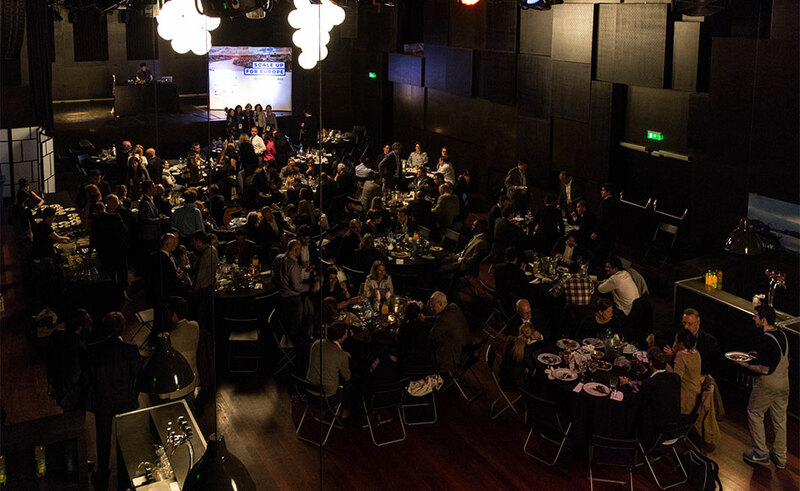 Because celebrating and network building can happen simultaneously. 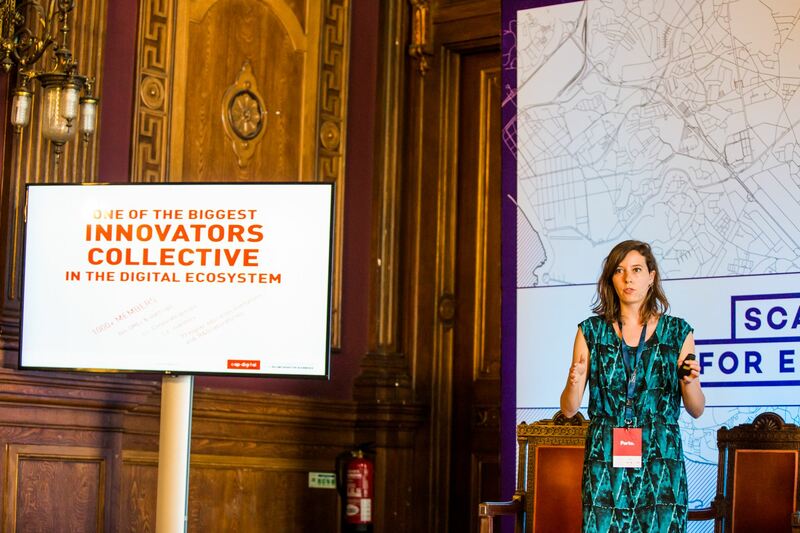 As the world becomes more urban, most businesses will be concentrated in cities. 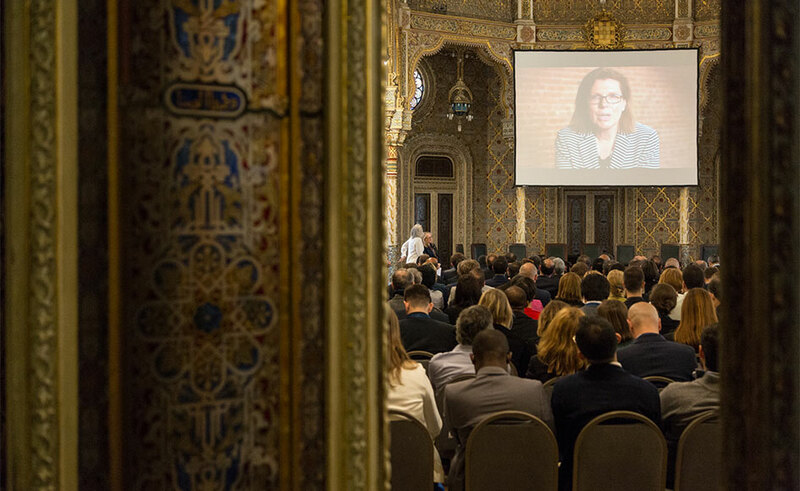 Urban centers will be hubs of challenges but also of opportunities.